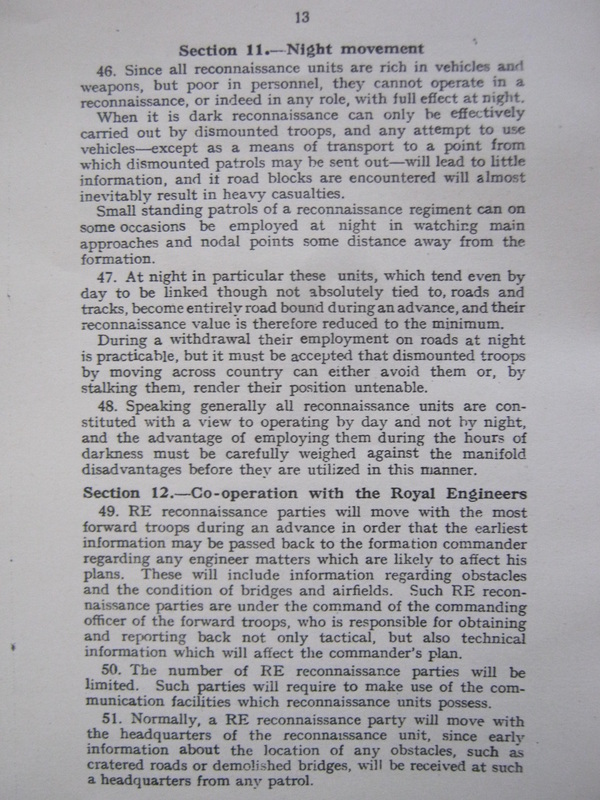 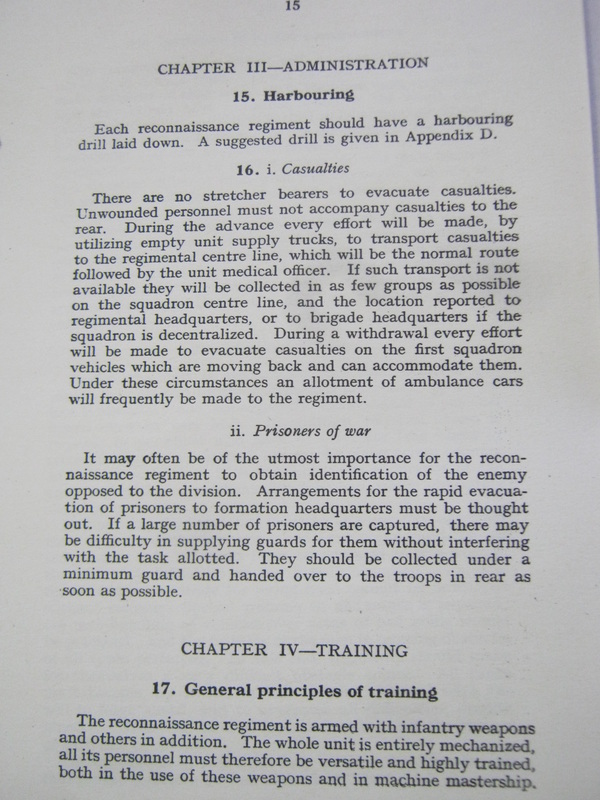 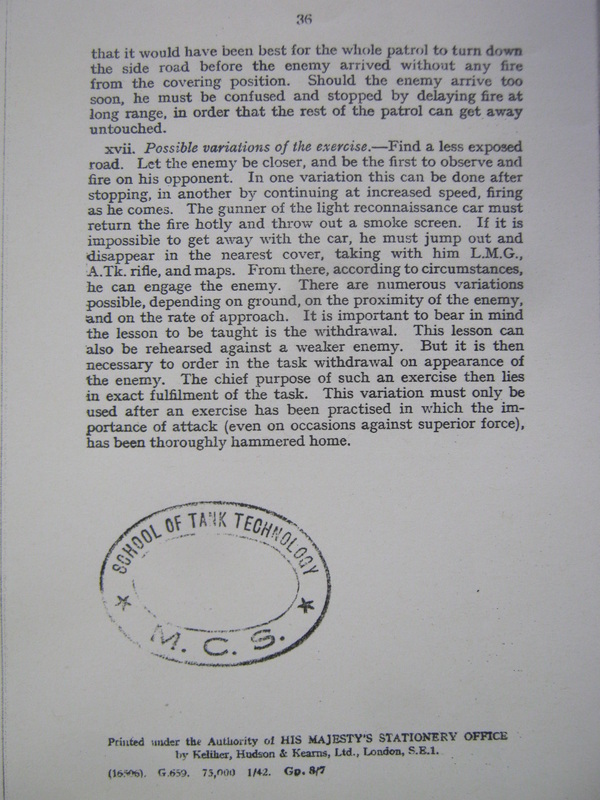 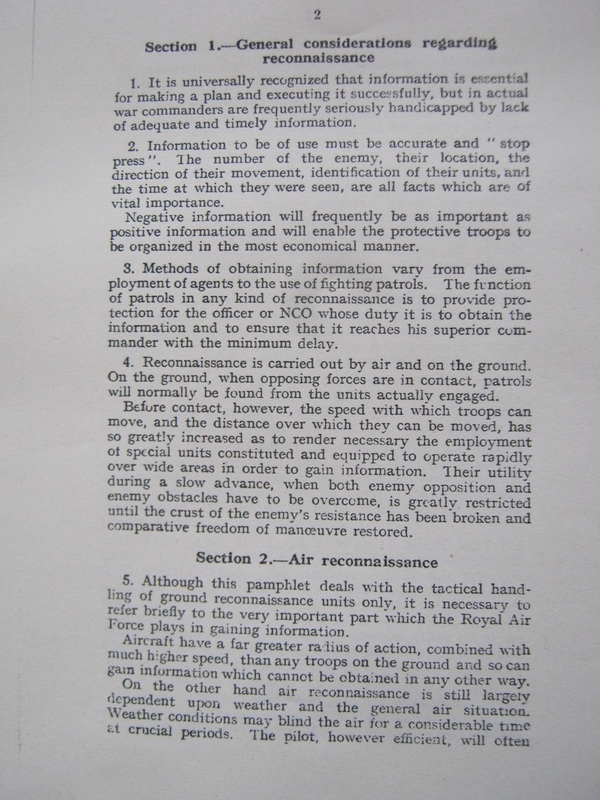 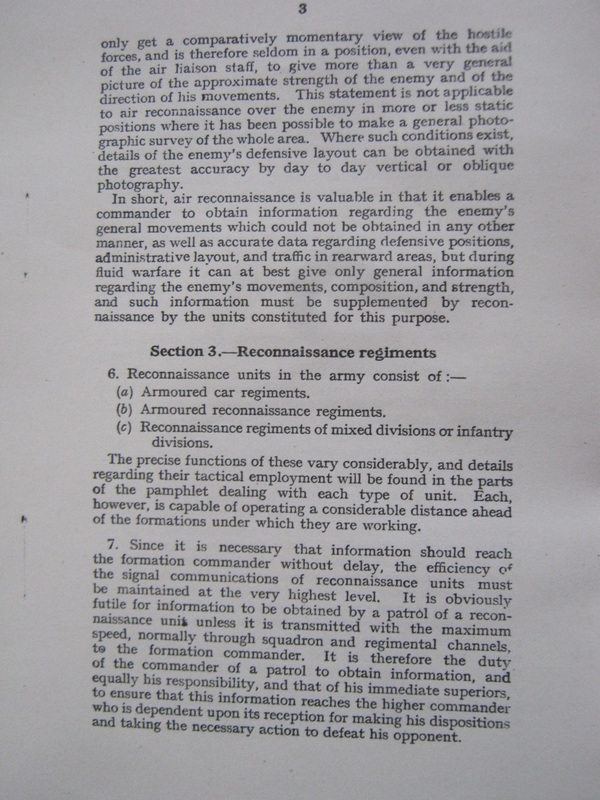 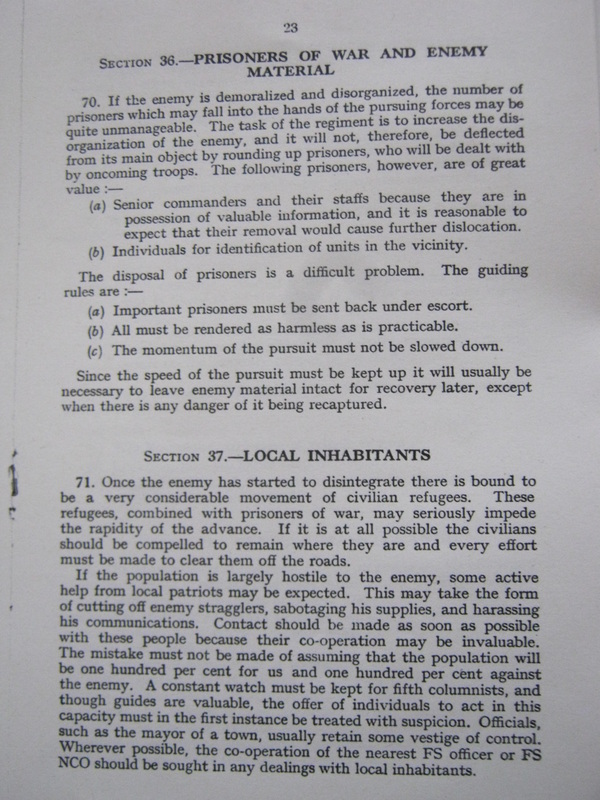 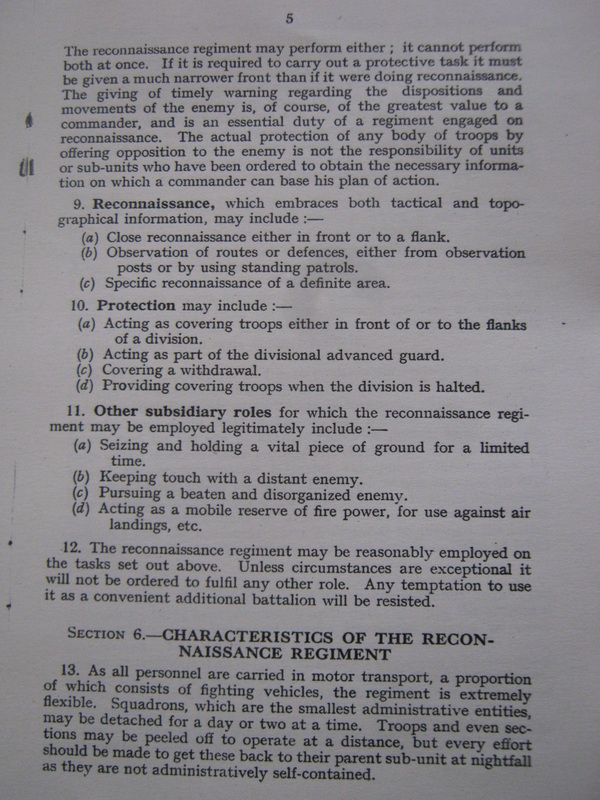 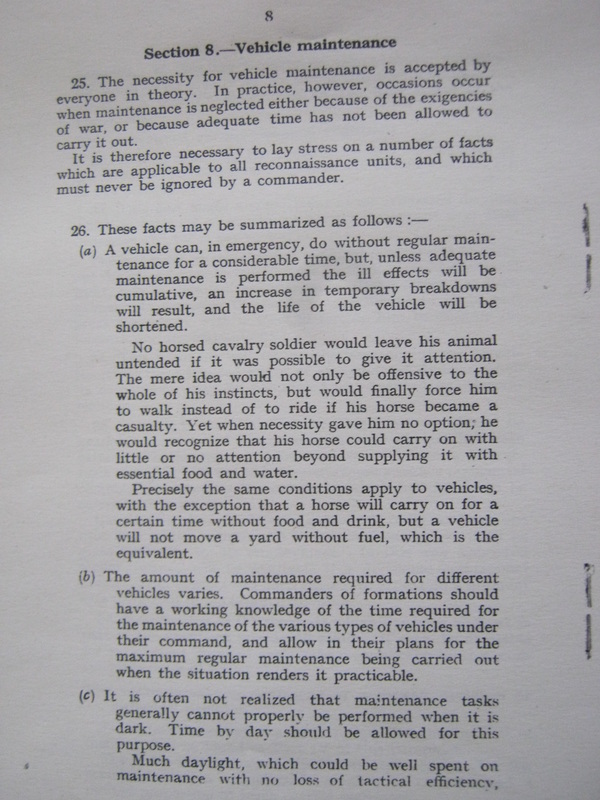 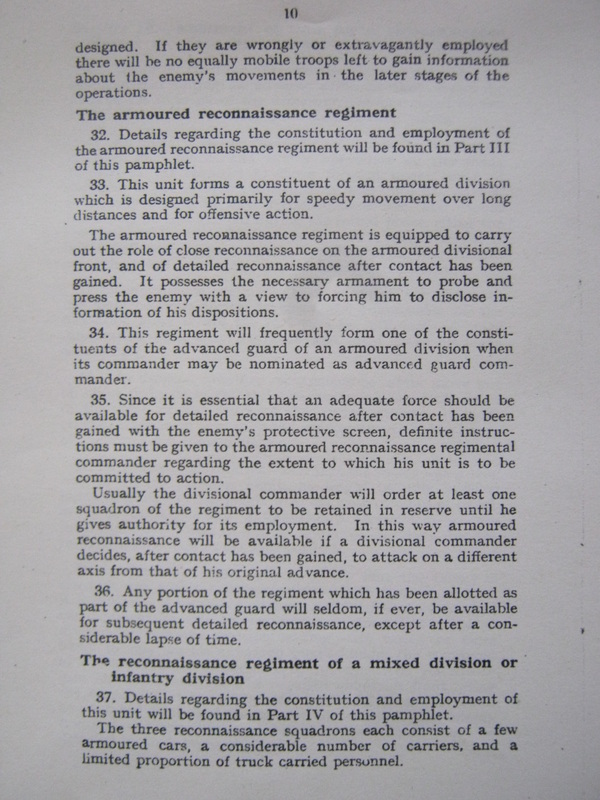 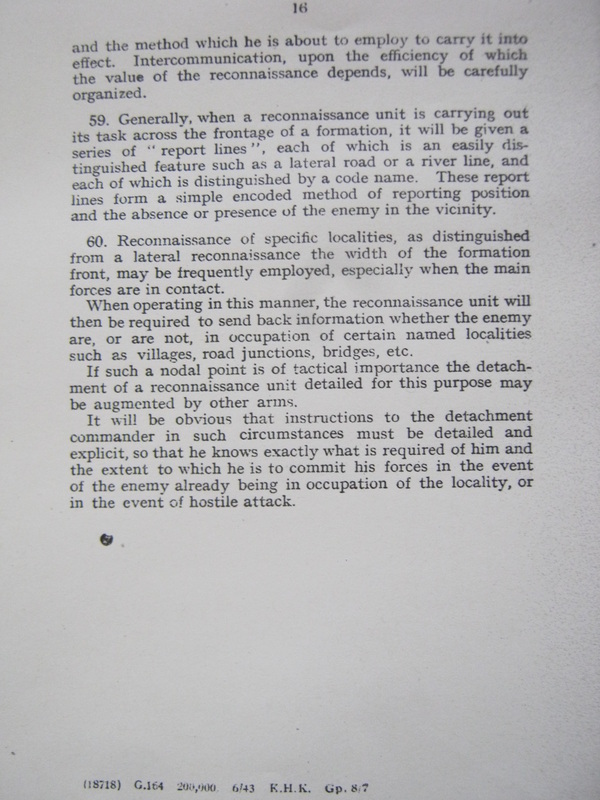 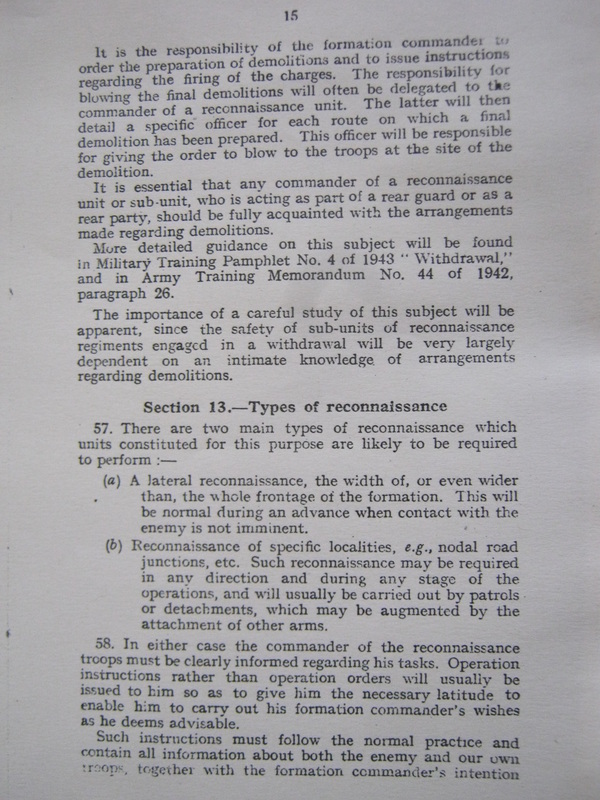 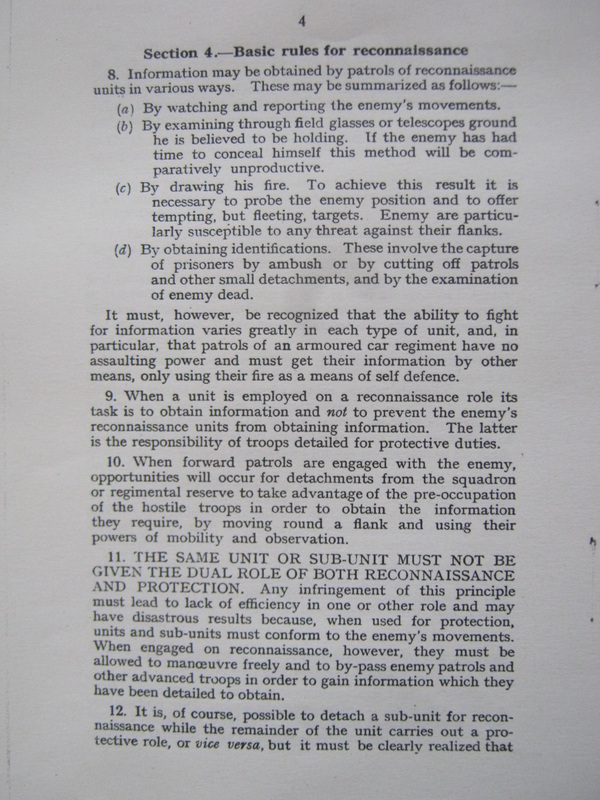 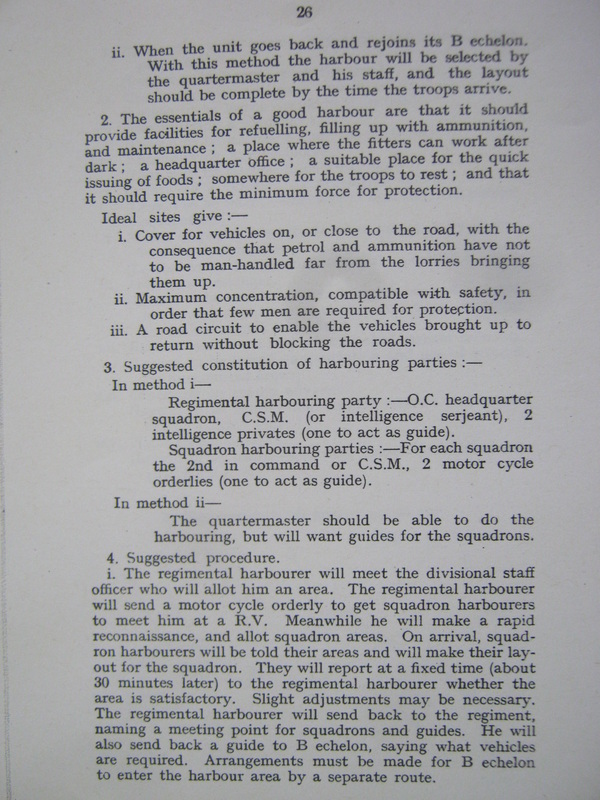 This page includes photographed copies of the actual reconnaissance manuals used by the British Reconaissance forces of WW2. 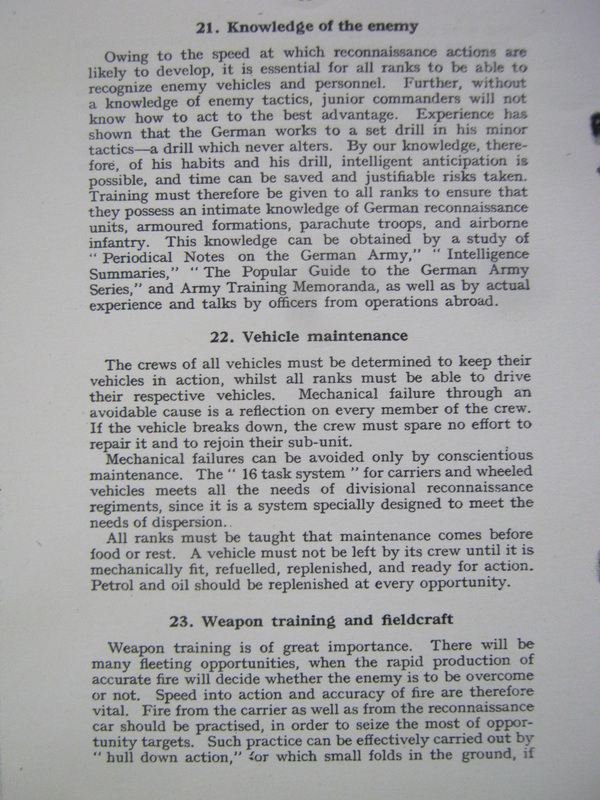 They are surprisingly brief, when compared to similar manuals of various armed forces of today. 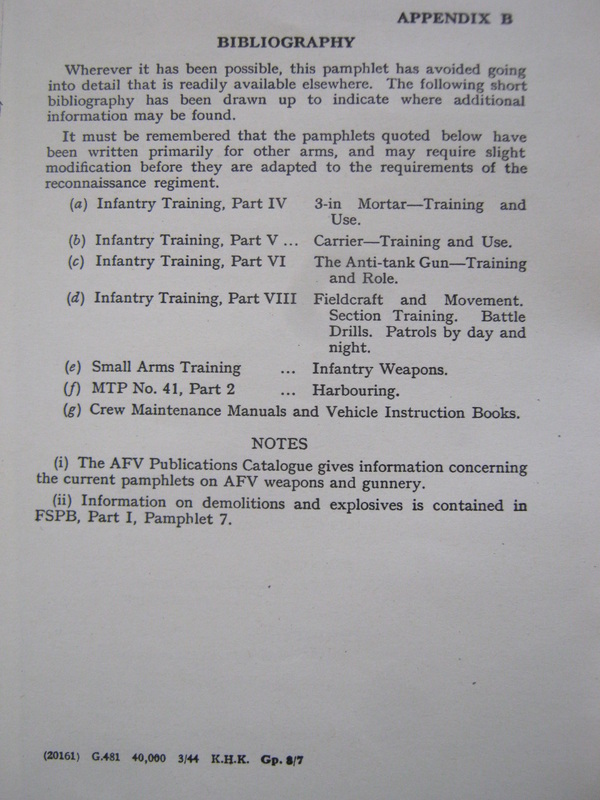 Things one wants to take into account when reading the content of these manuals, is that armored forces had been in existance for less than three decades when these were written. 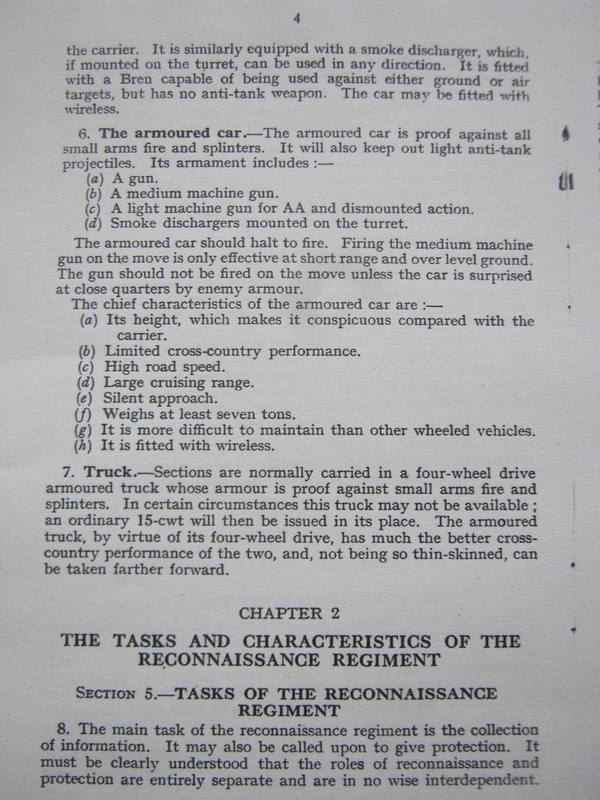 Armored forces were still being experimented with by most of the few nationalities that possessed them when war broke out in 1939. 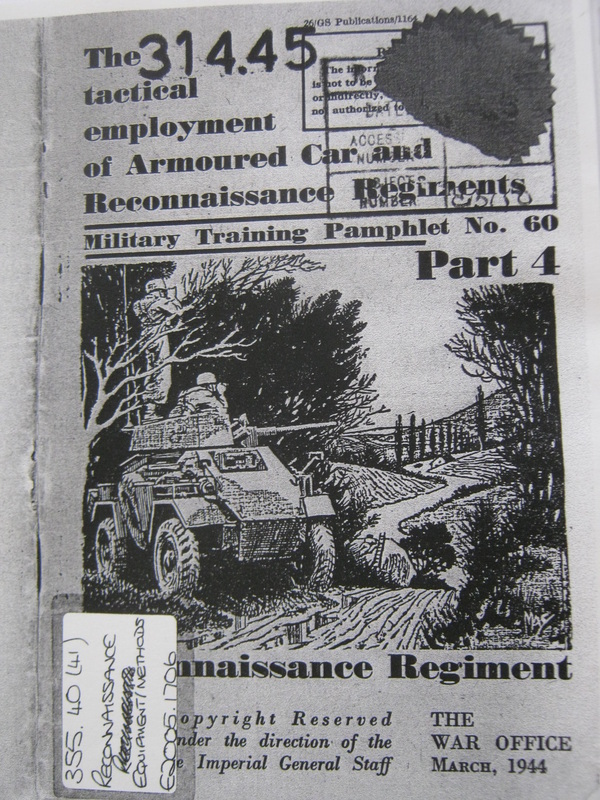 Britain went into the war with almost no armored force to speak of, let alone an established armored reconnaissance force with an established and tested doctrine. 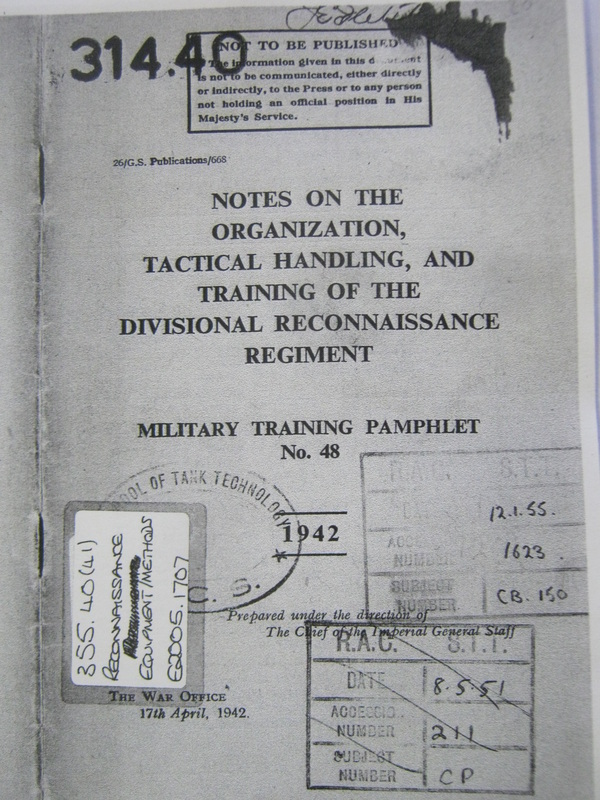 Most of what is contained in these manuals was theory from those formulating doctrine in the War Office balanced by experience gained in combat by the newly formed reconnaissance forces themselves. 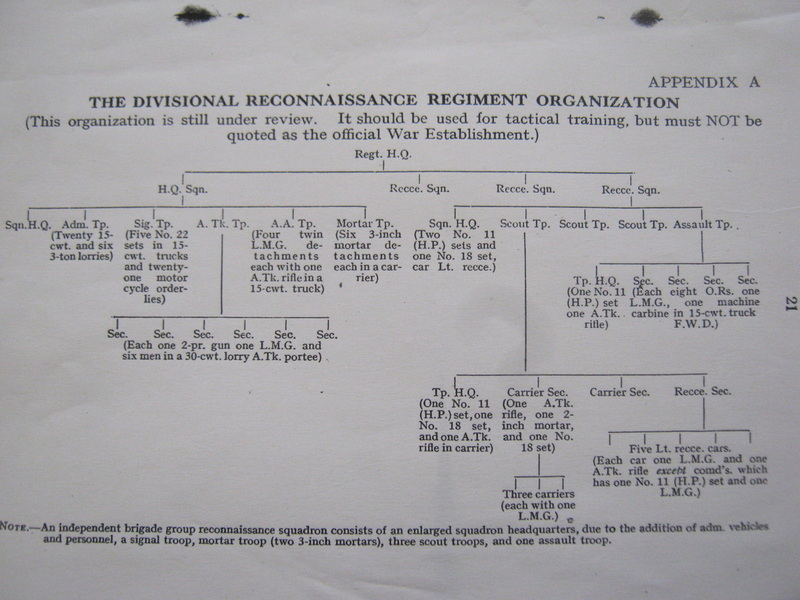 Also during the war, was a tendancy to hand down to the units what doctrine there was as more of a guideline, without a large central formal training establishment, and leave the training of units to their unit commanders as they saw fit. 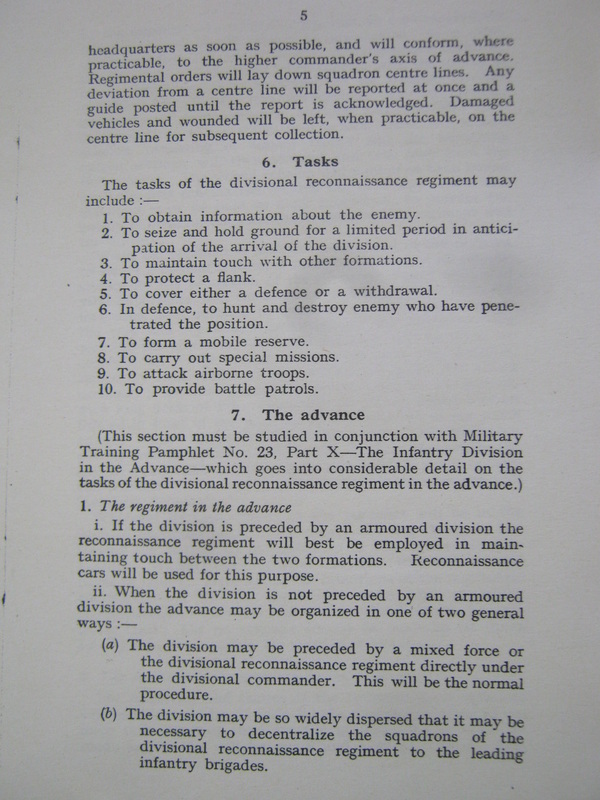 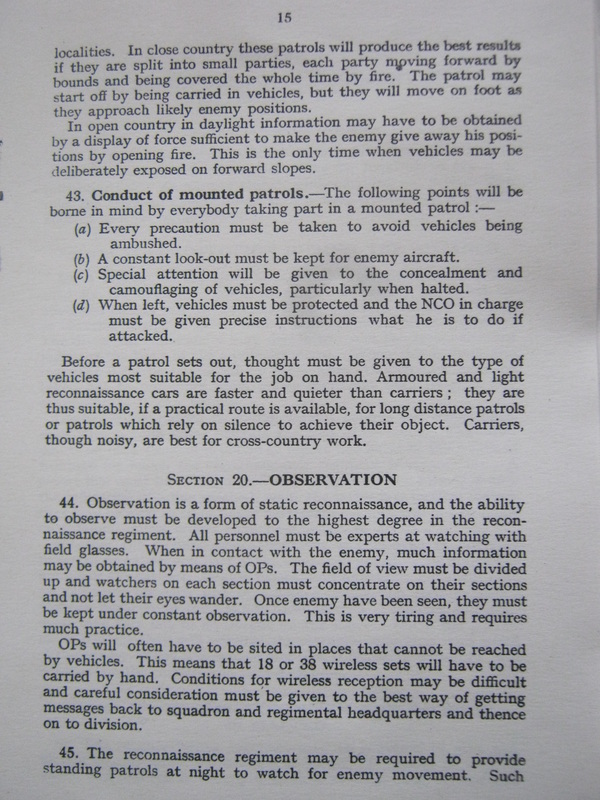 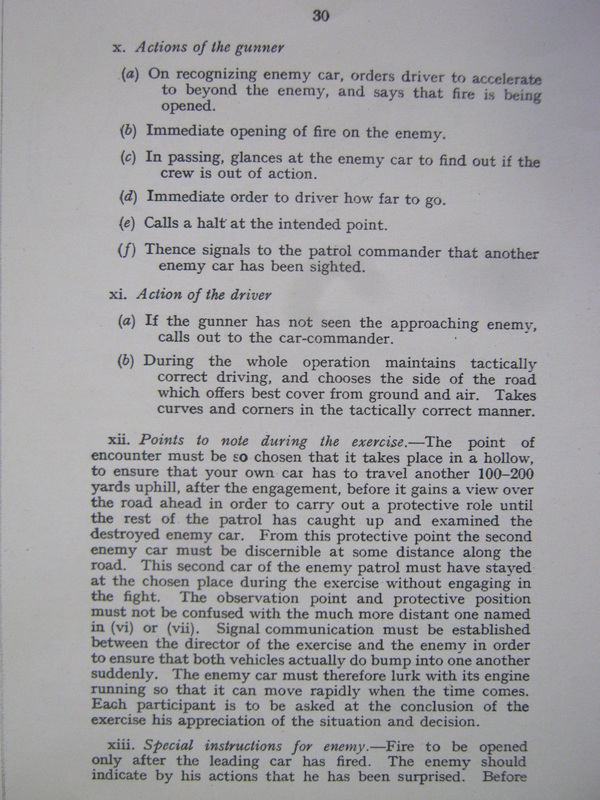 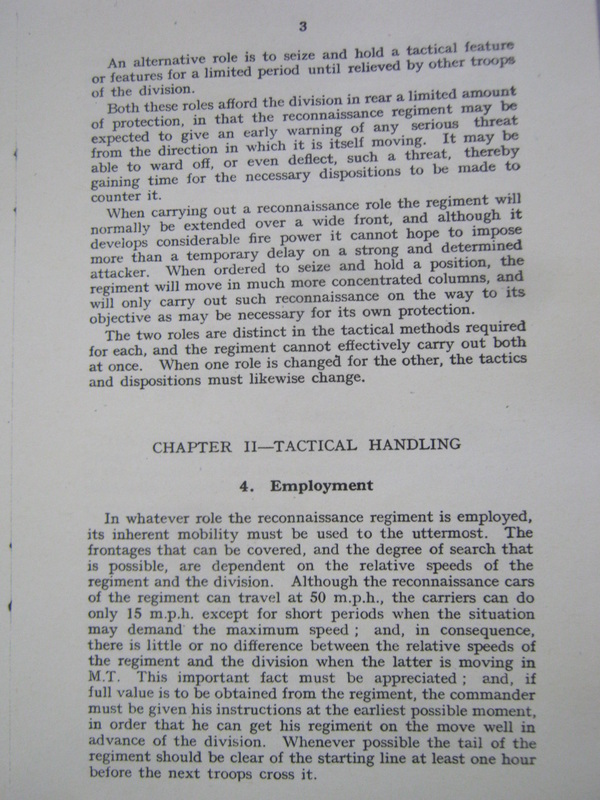 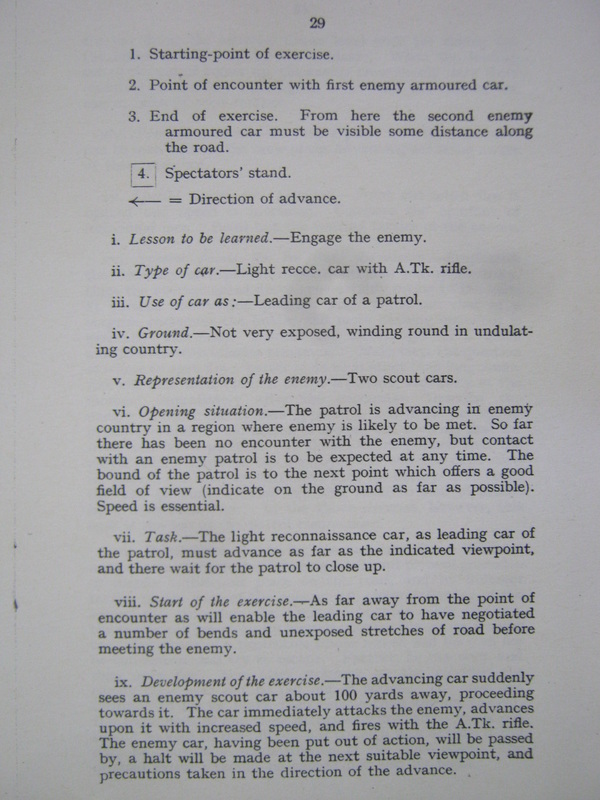 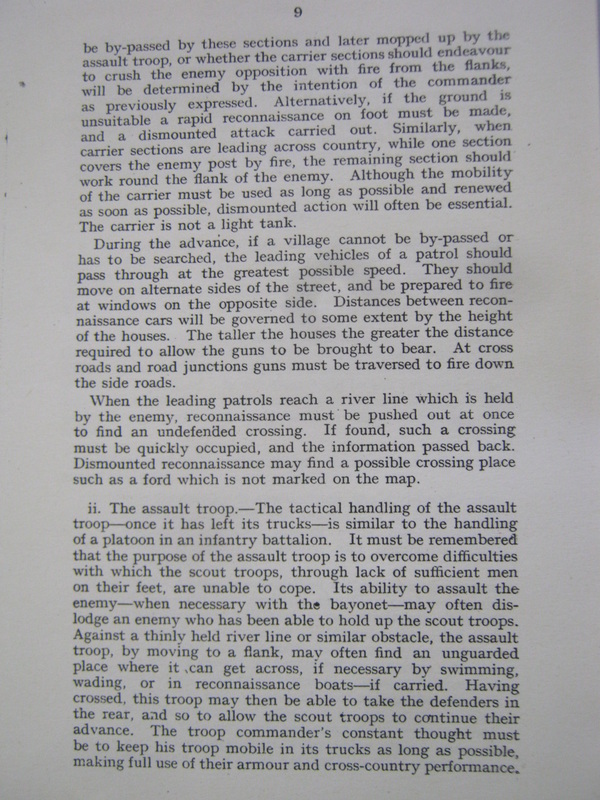 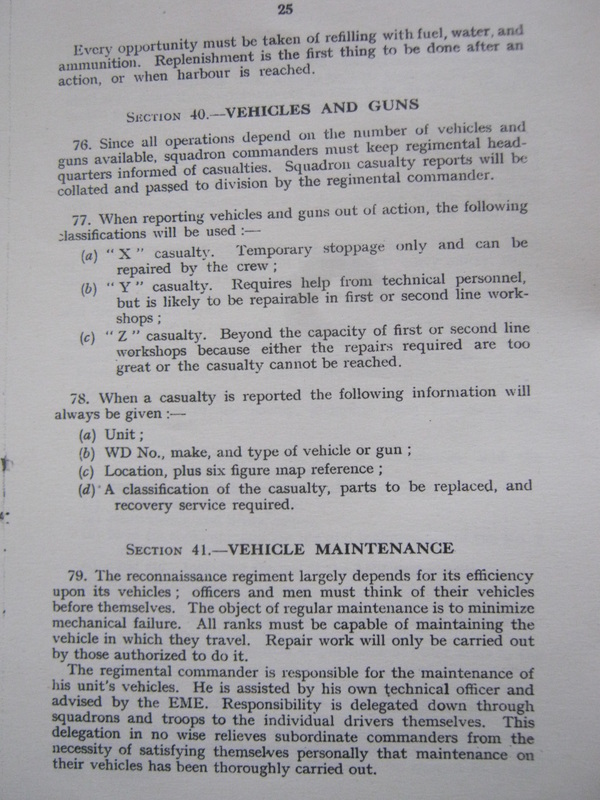 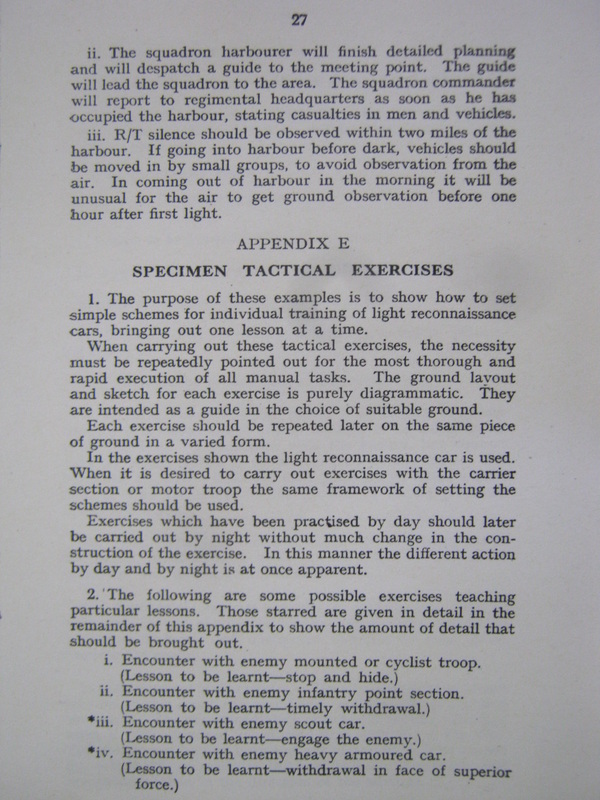 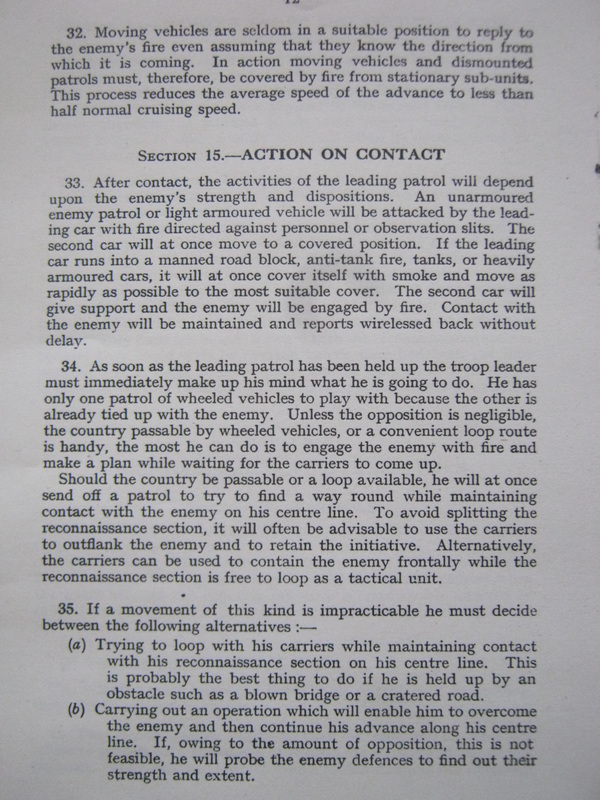 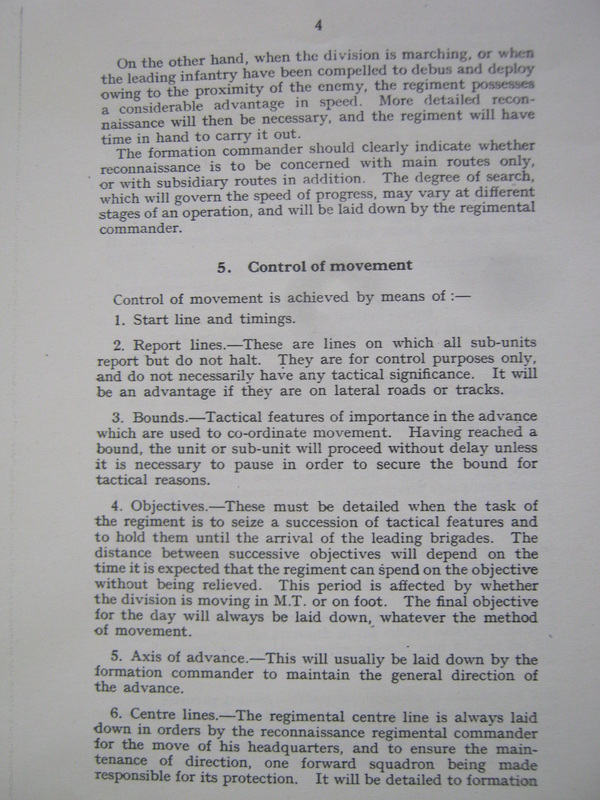 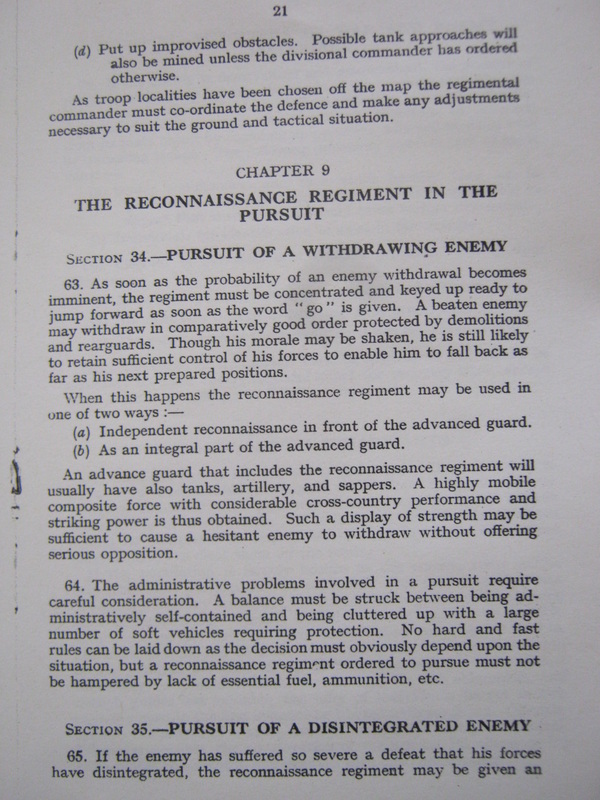 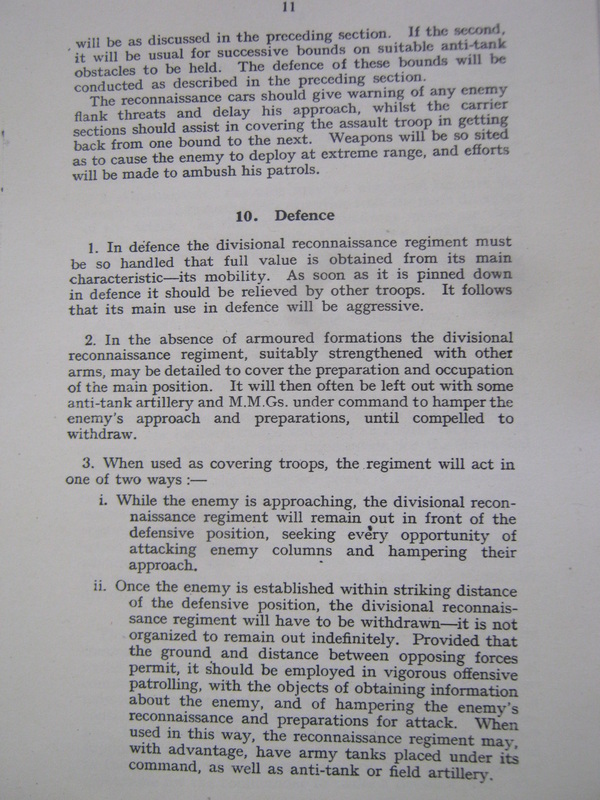 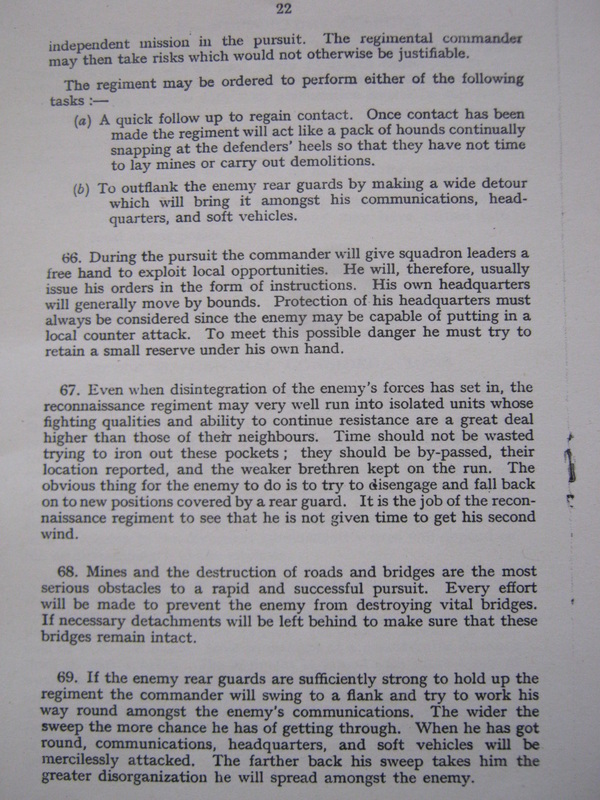 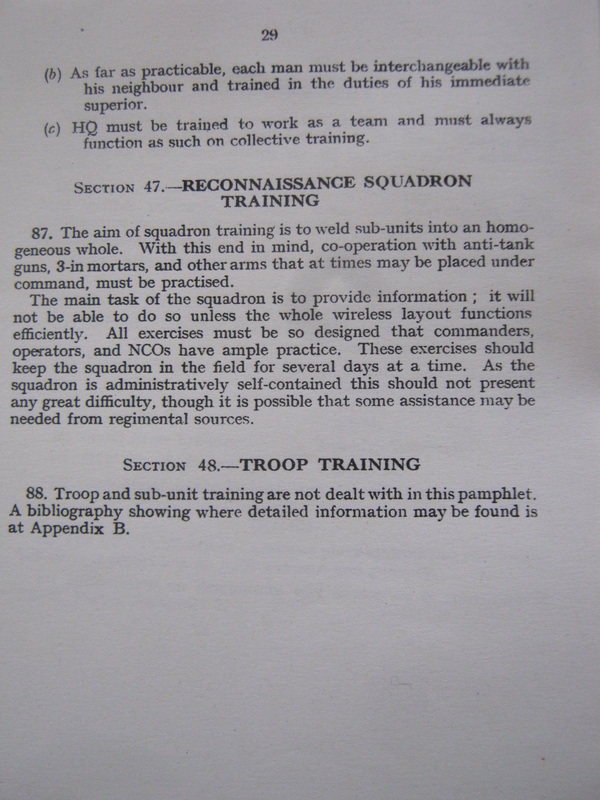 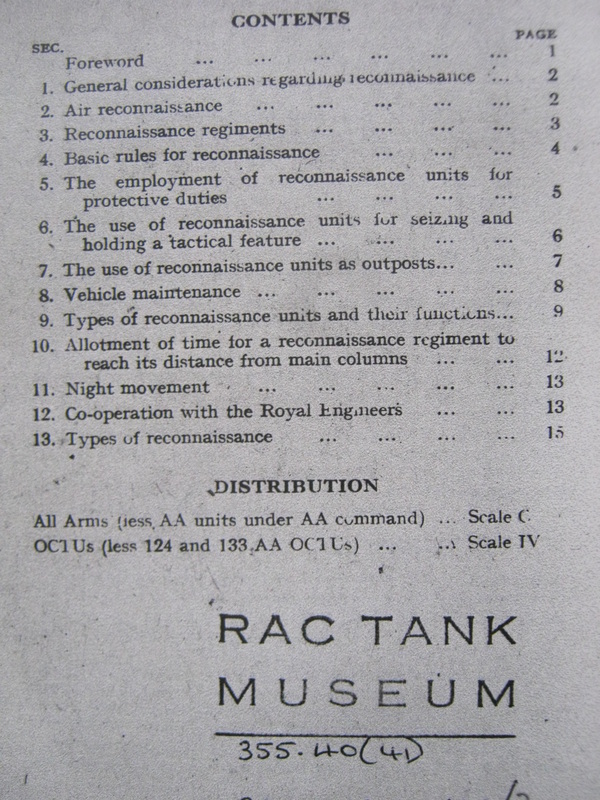 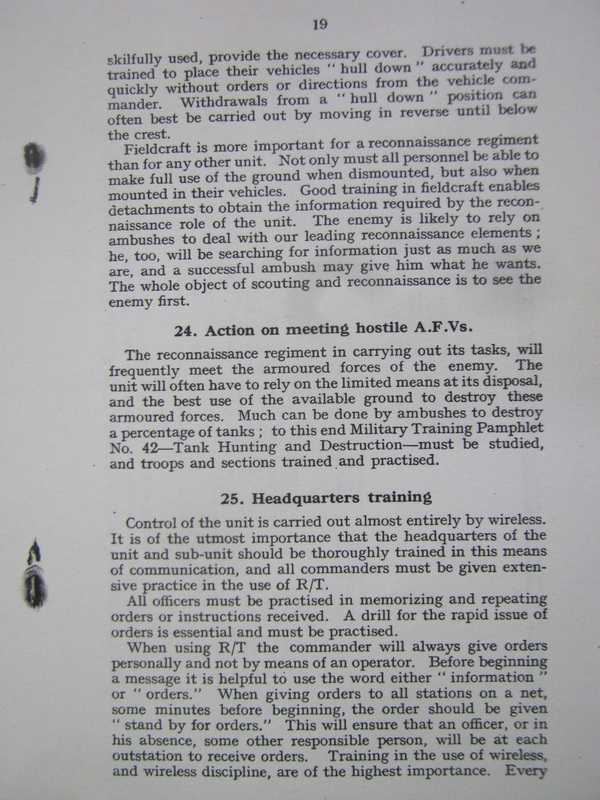 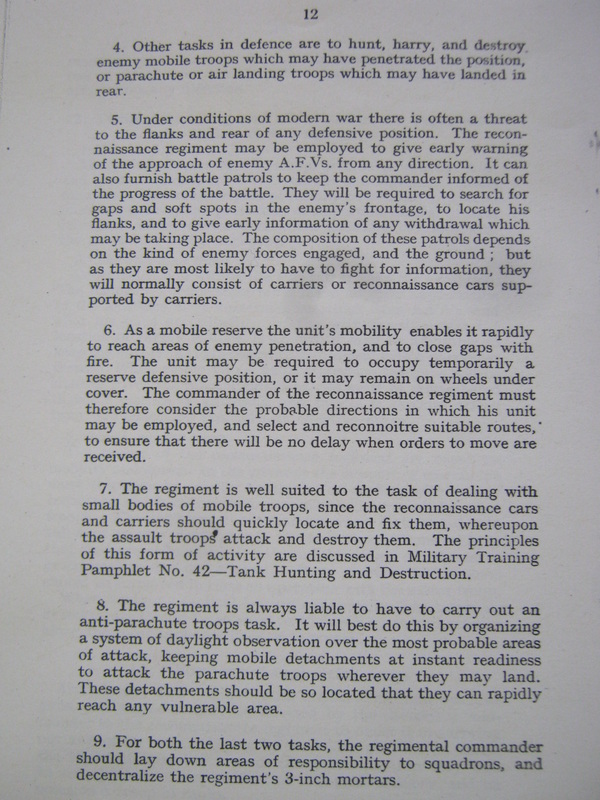 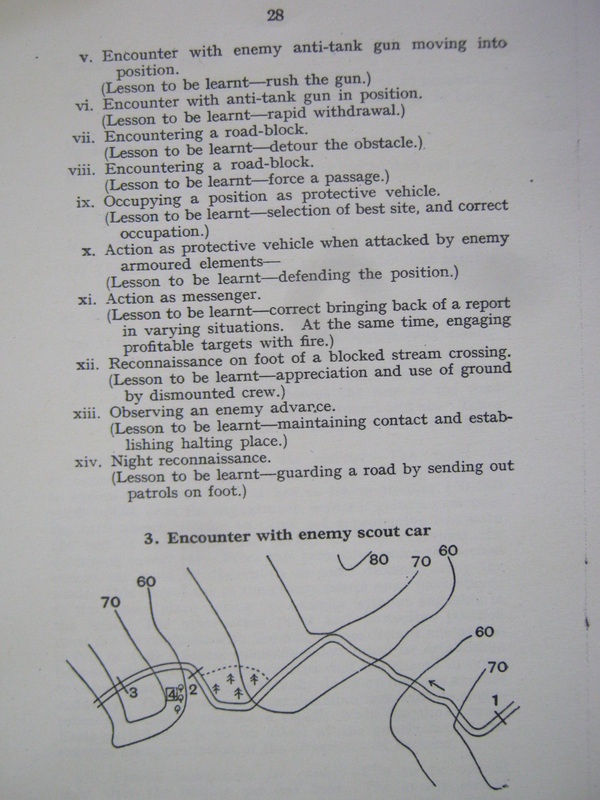 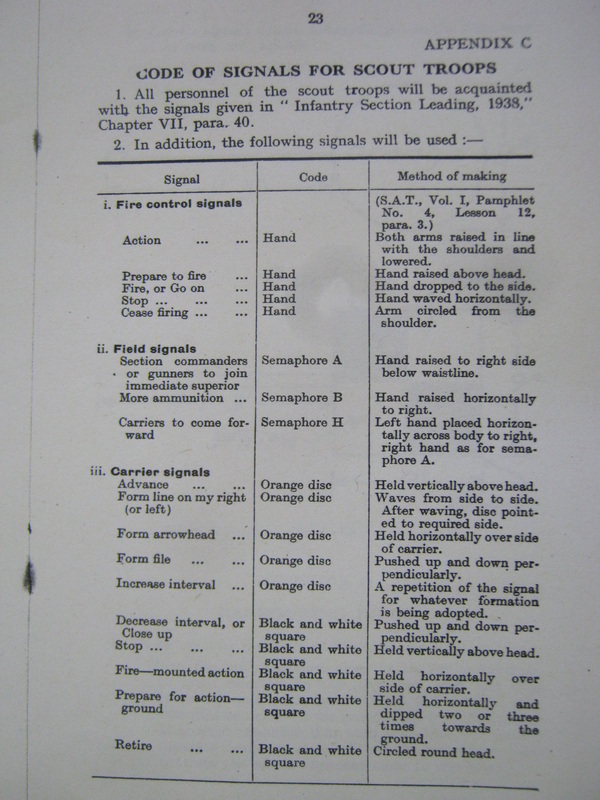 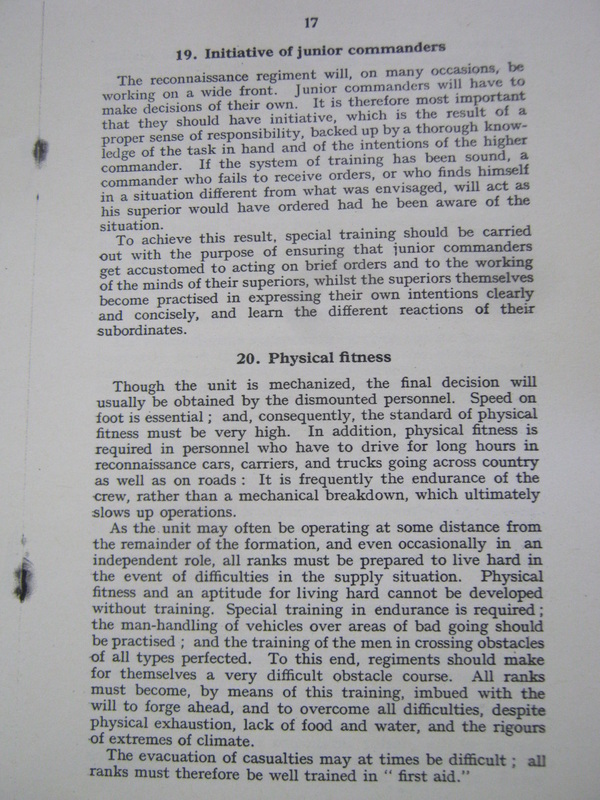 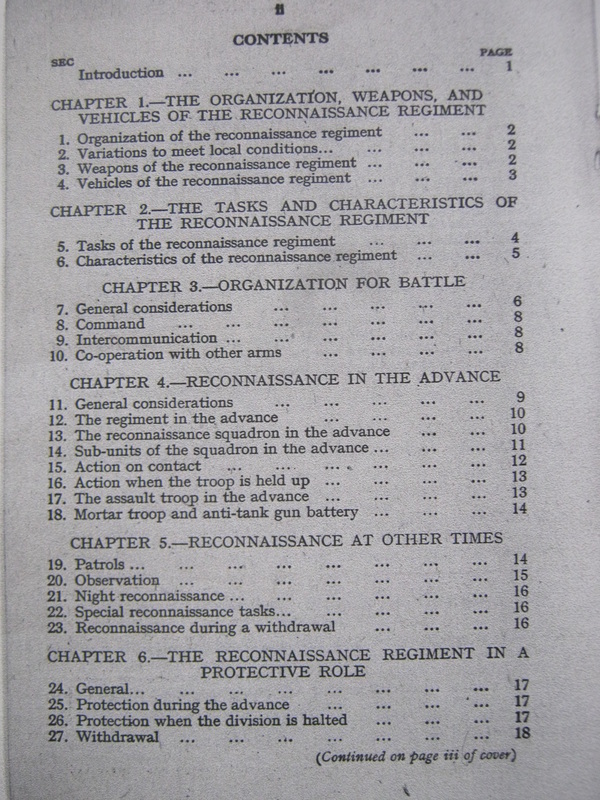 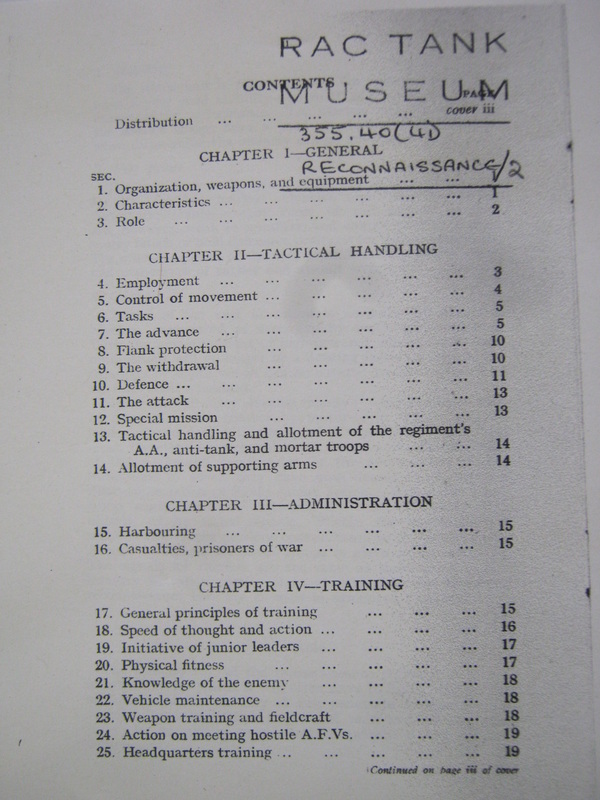 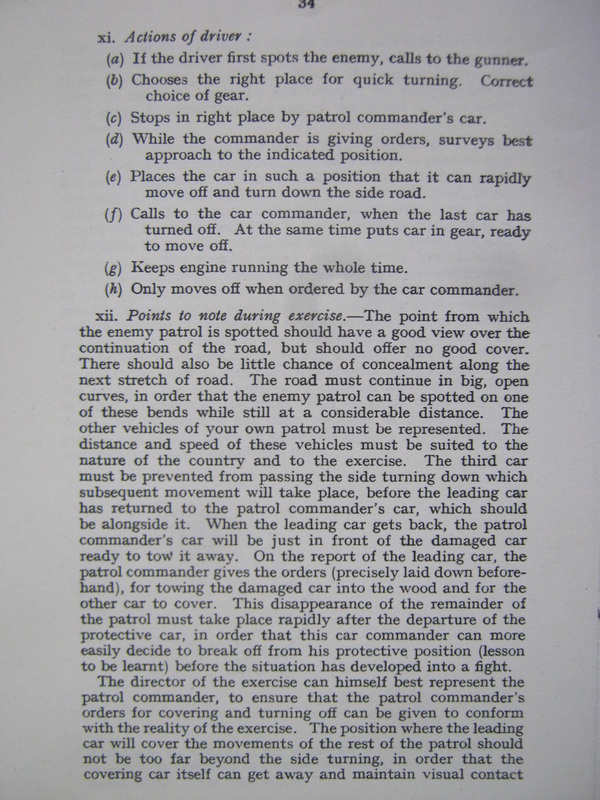 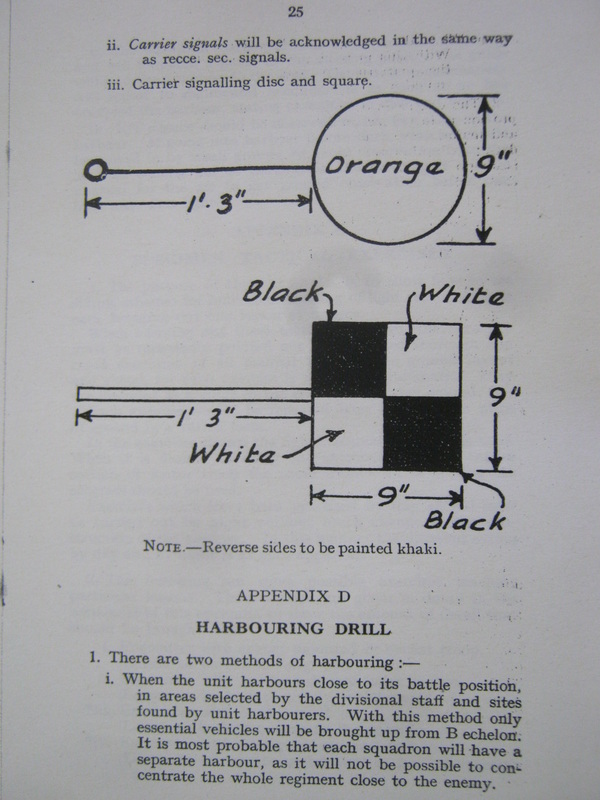 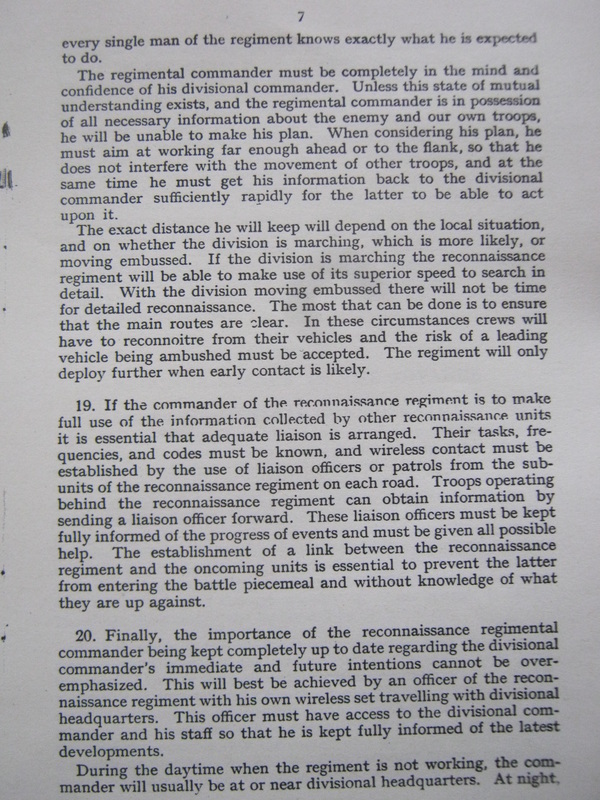 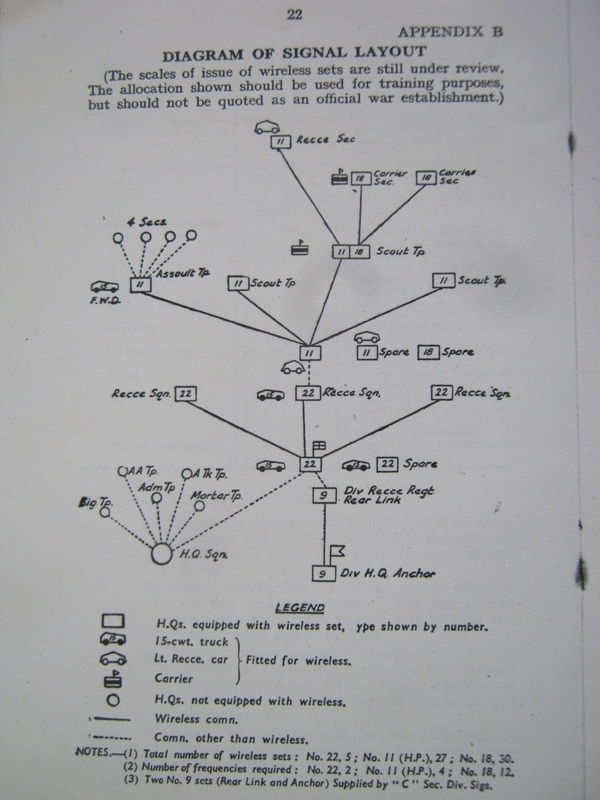 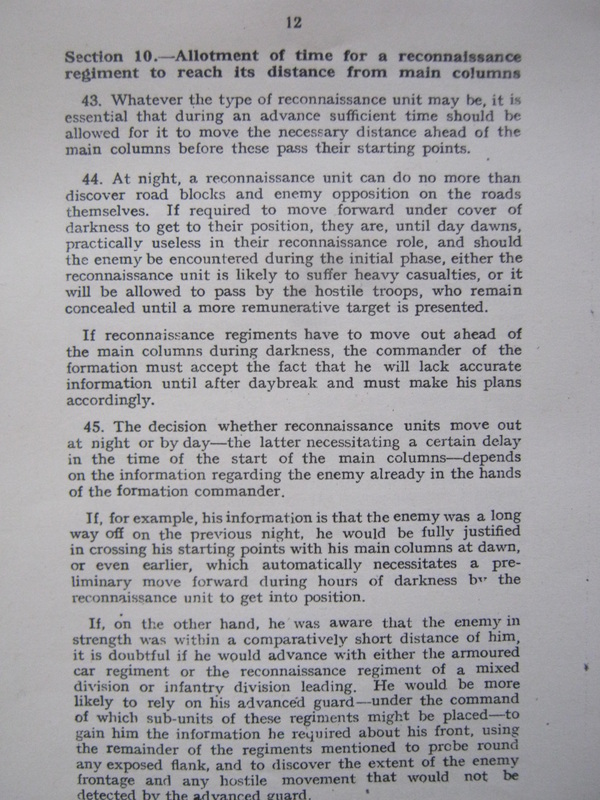 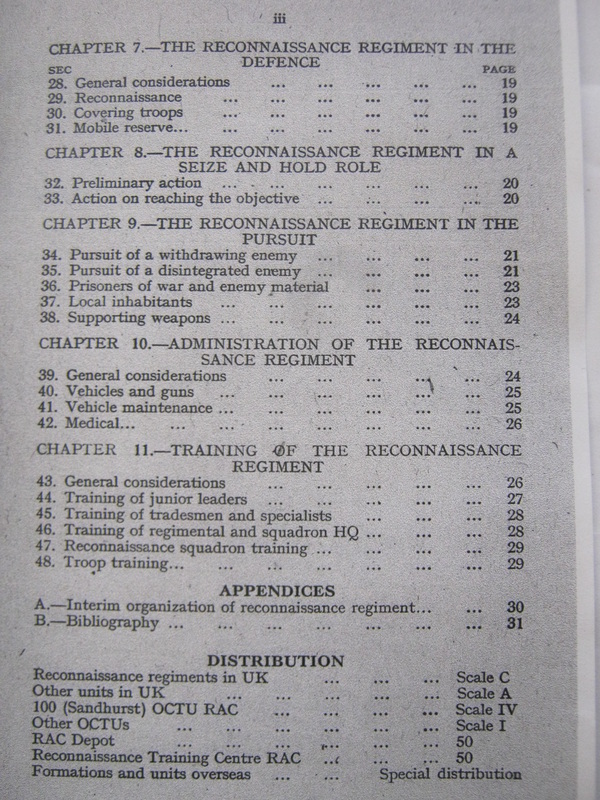 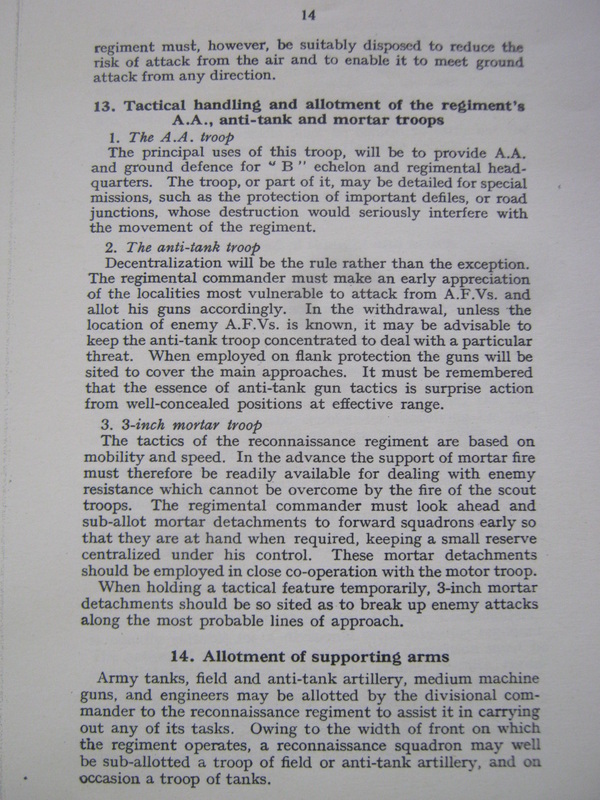 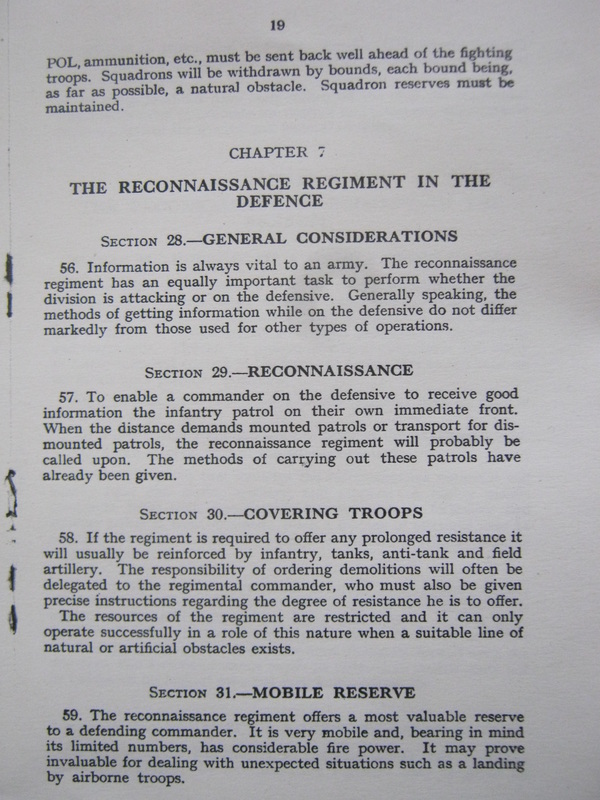 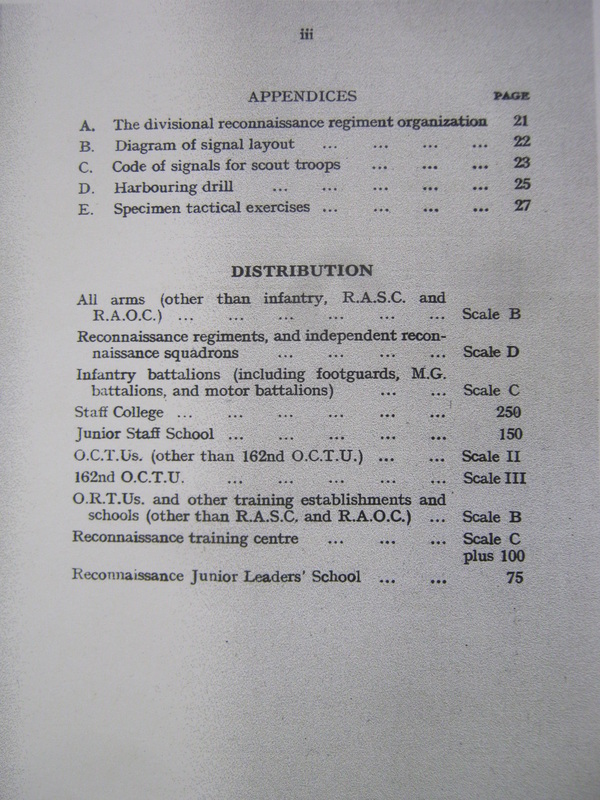 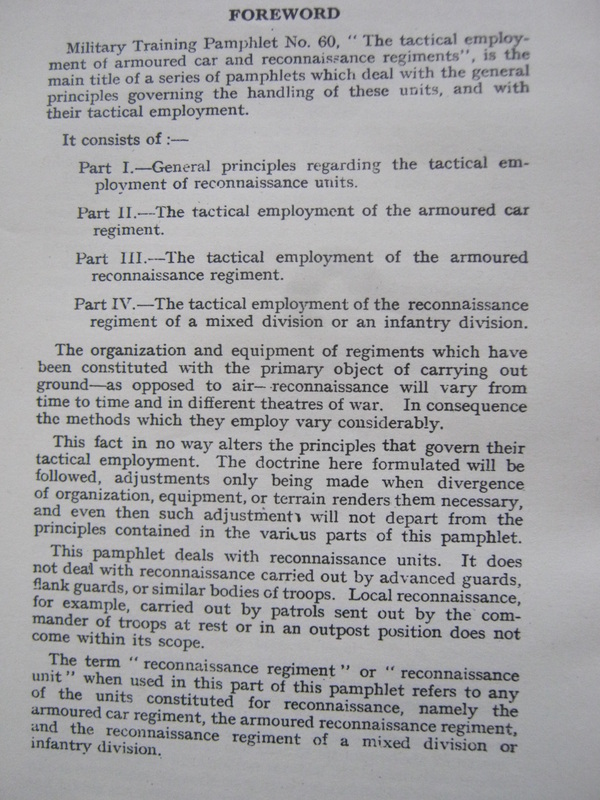 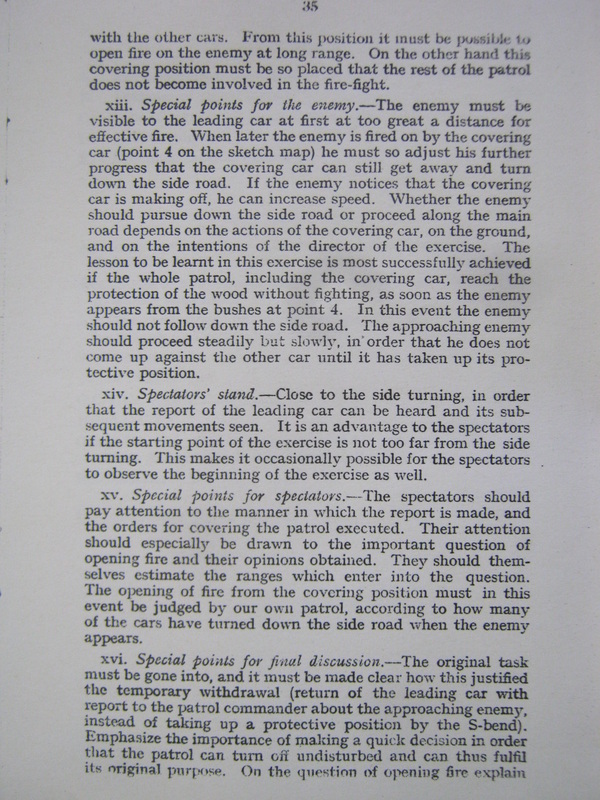 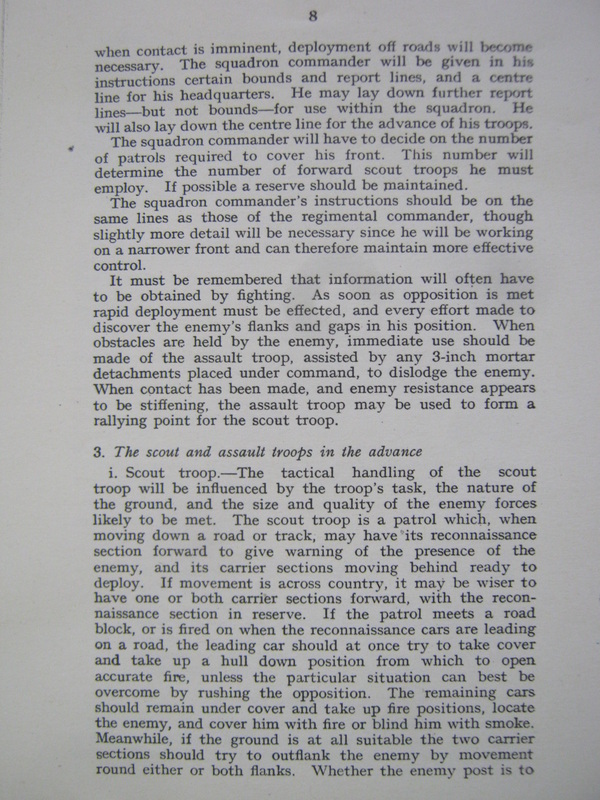 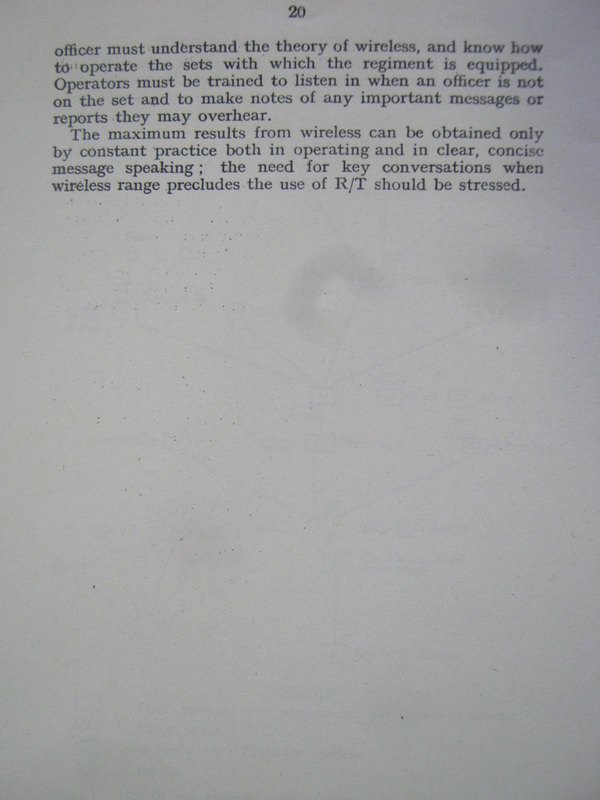 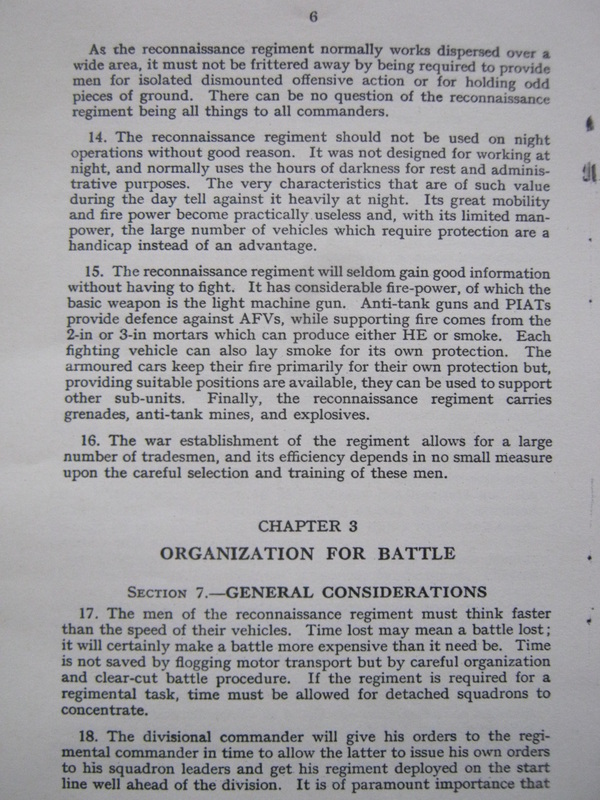 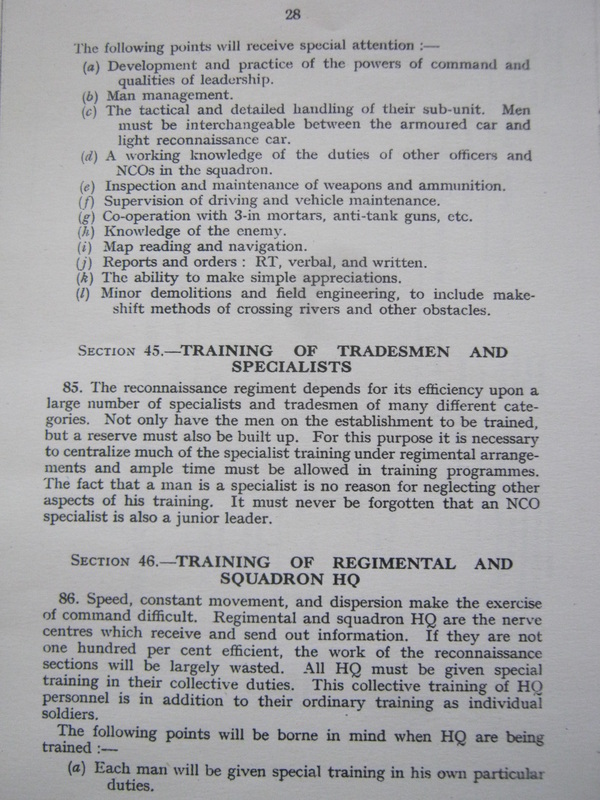 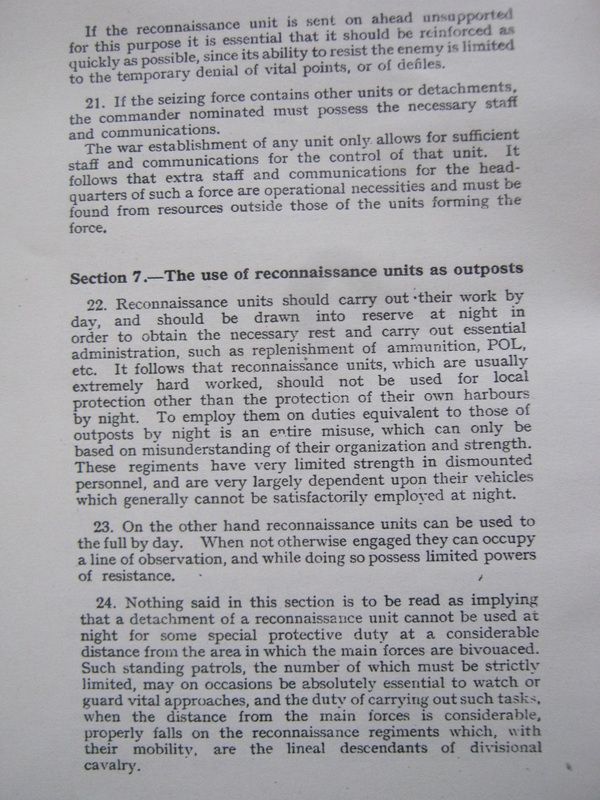 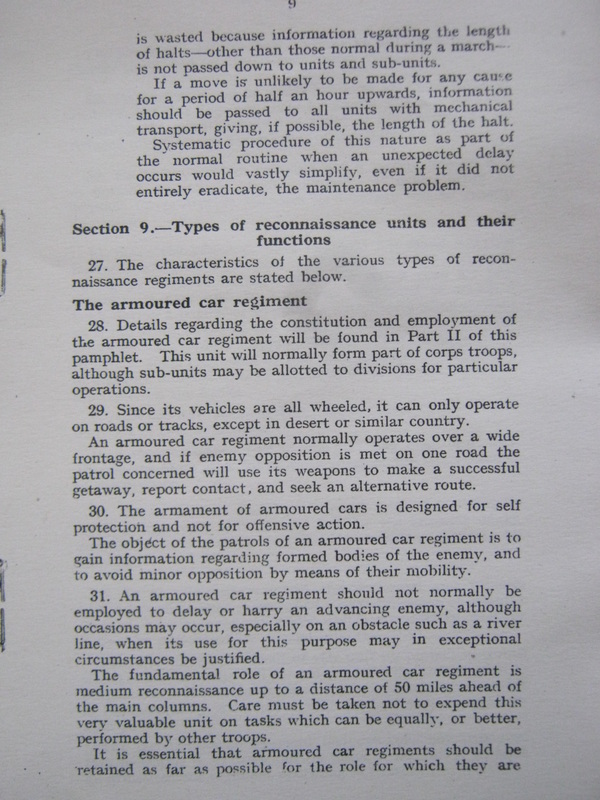 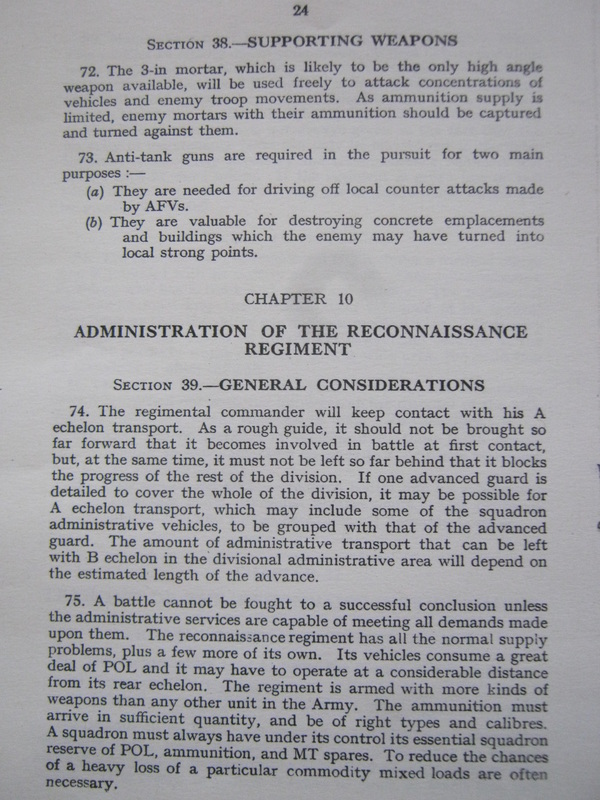 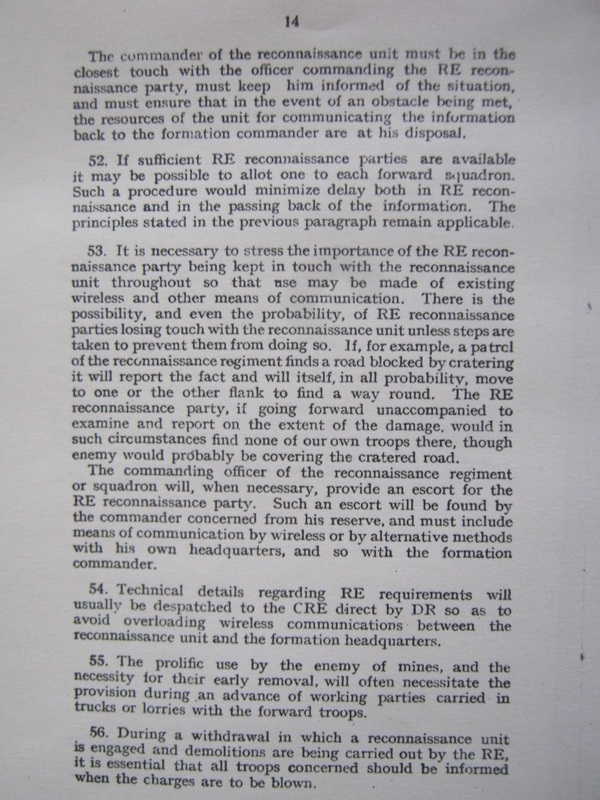 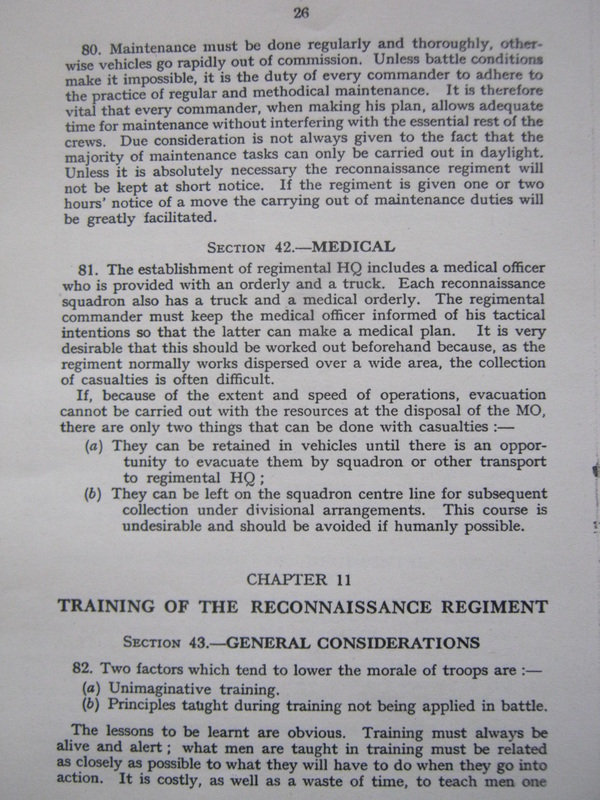 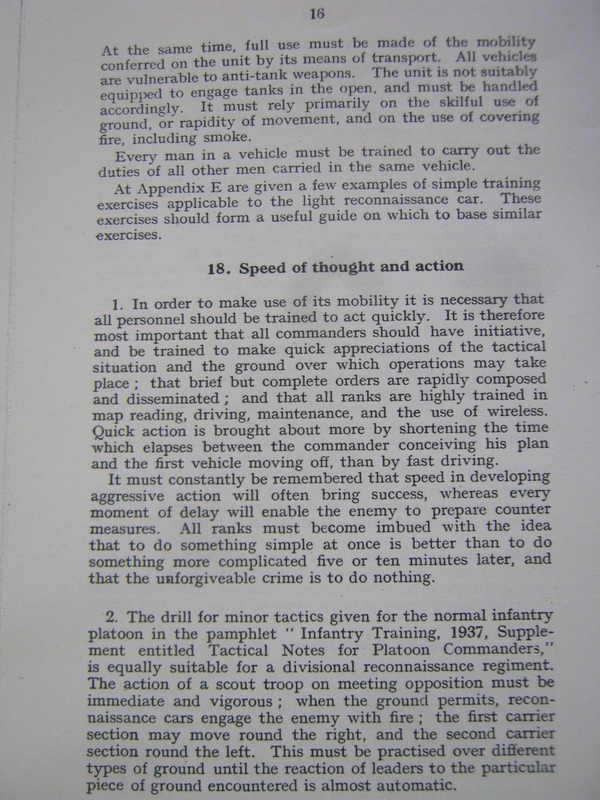 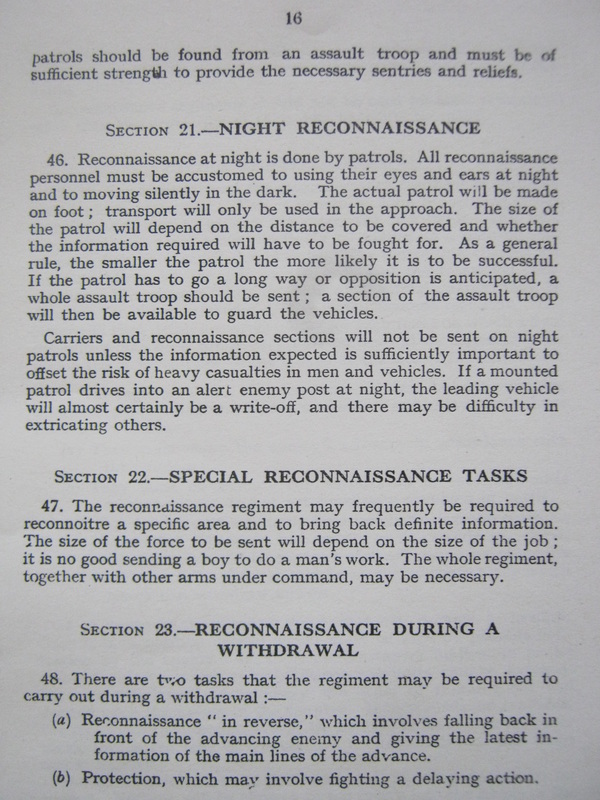 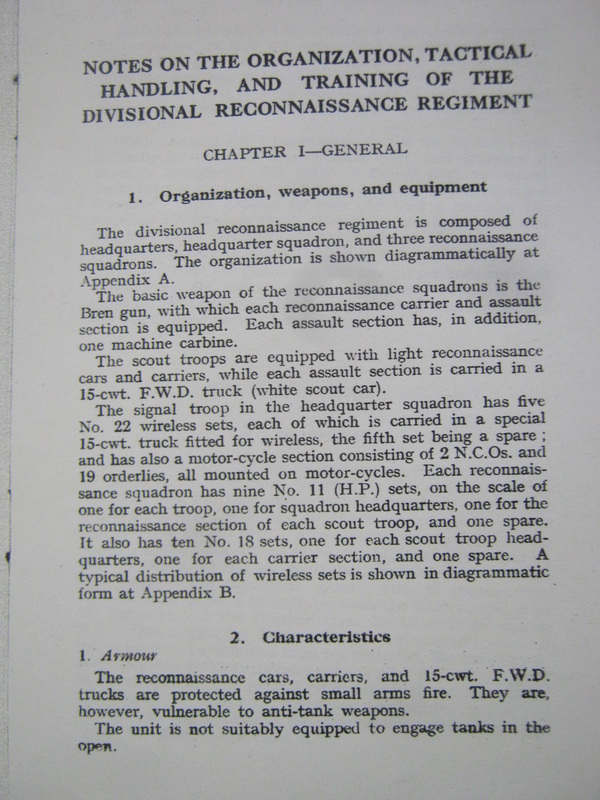 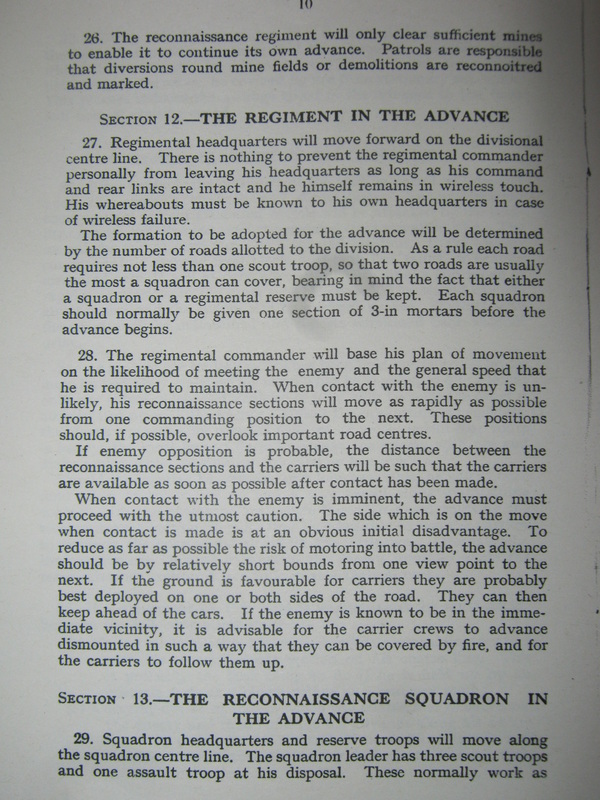 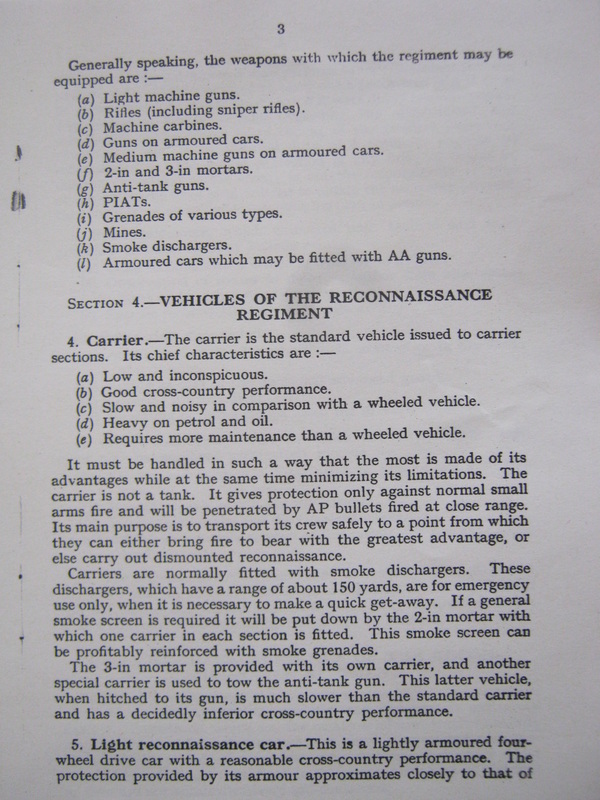 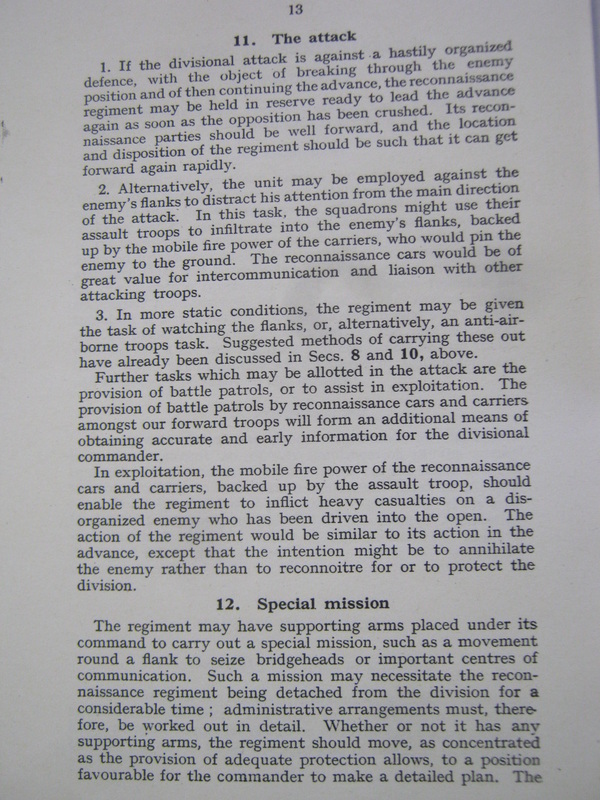 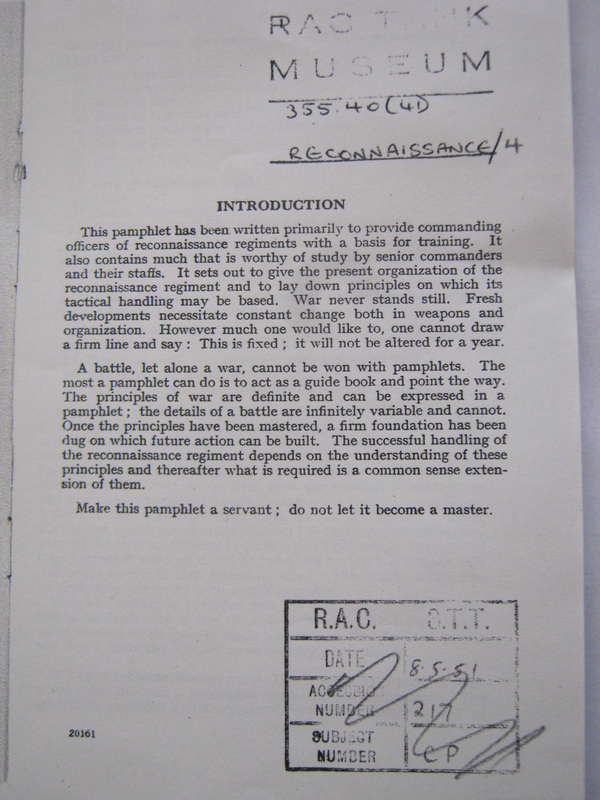 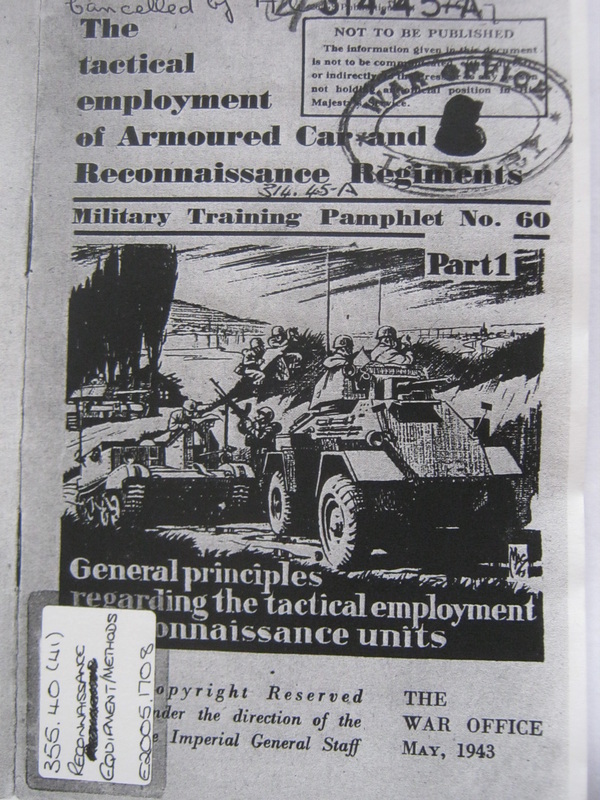 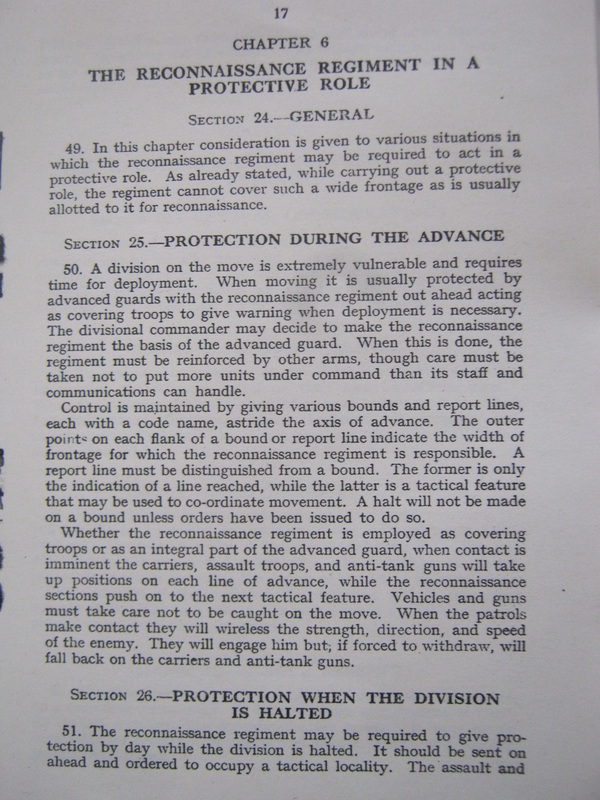 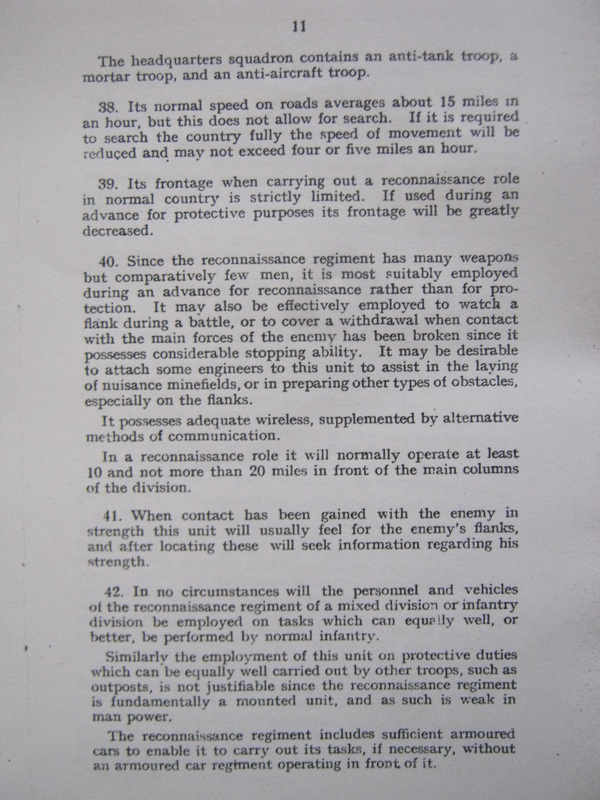 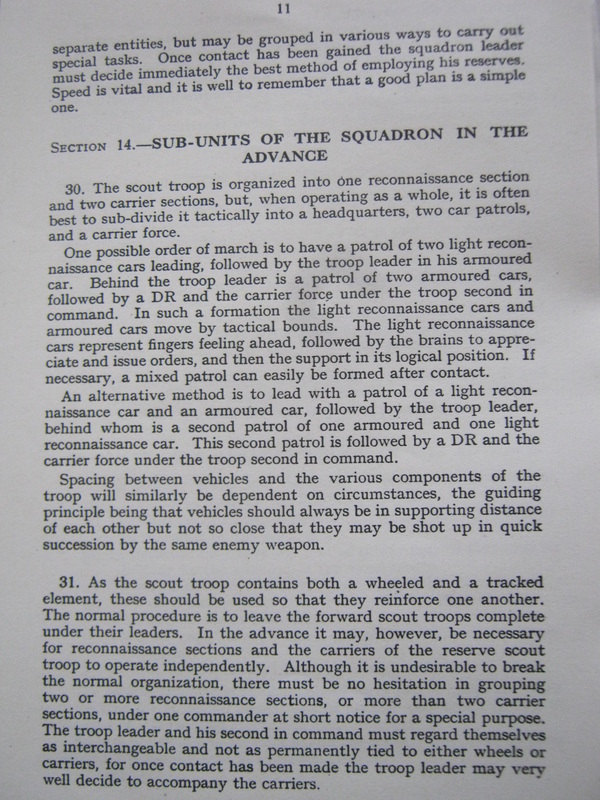 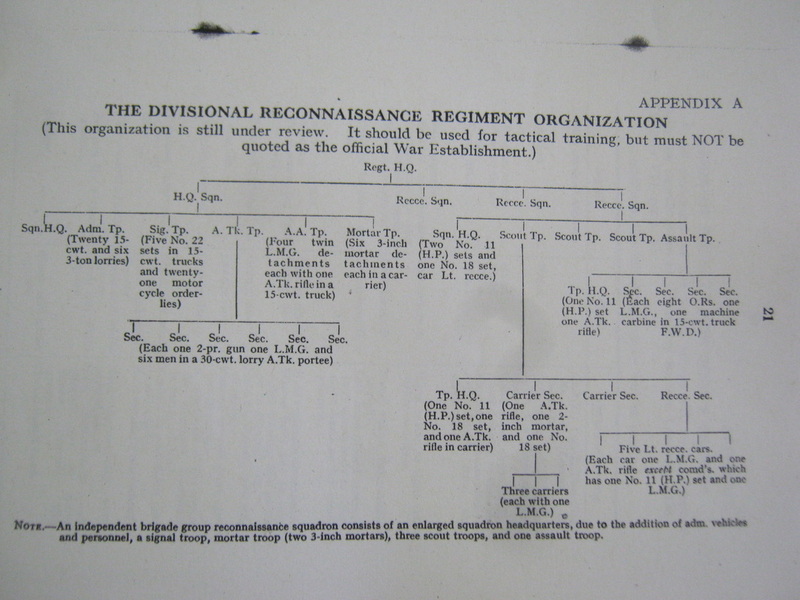 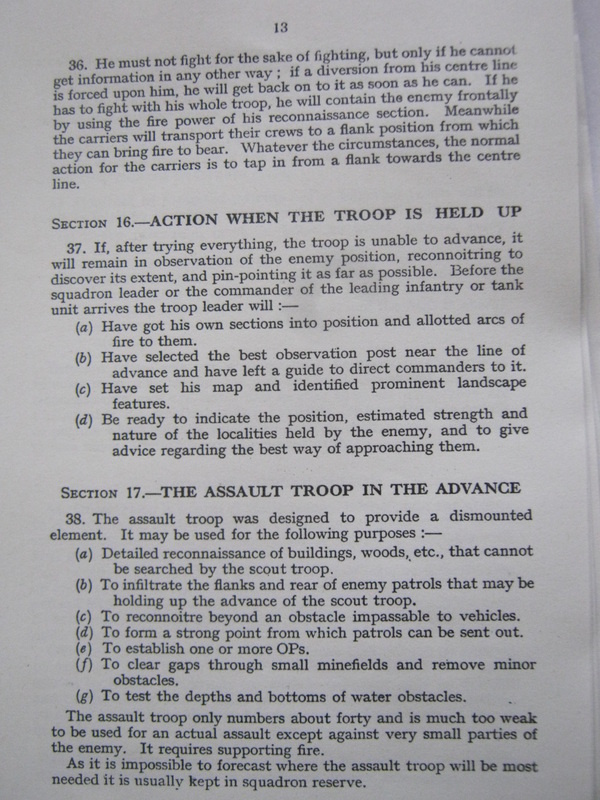 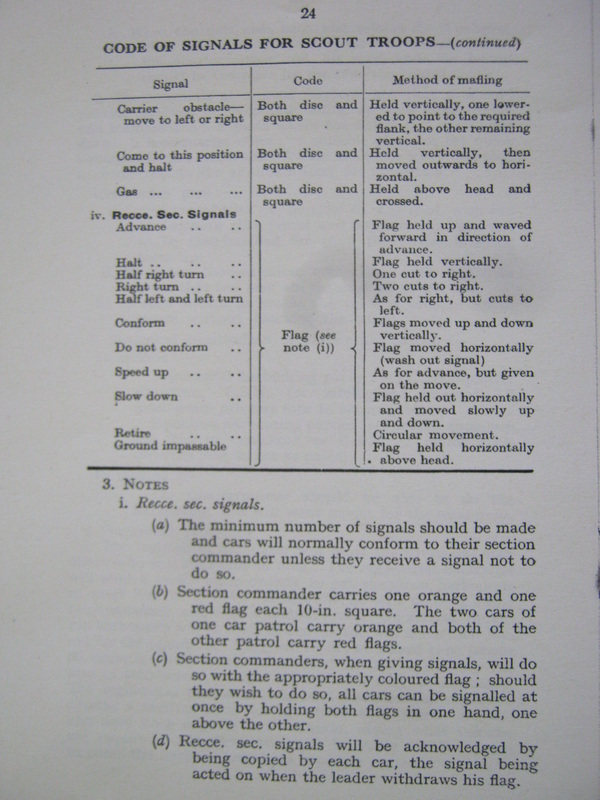 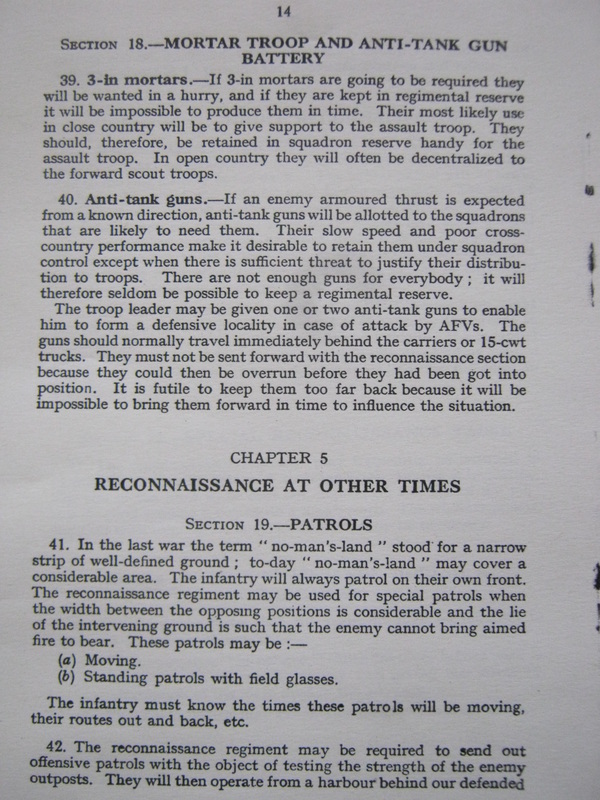 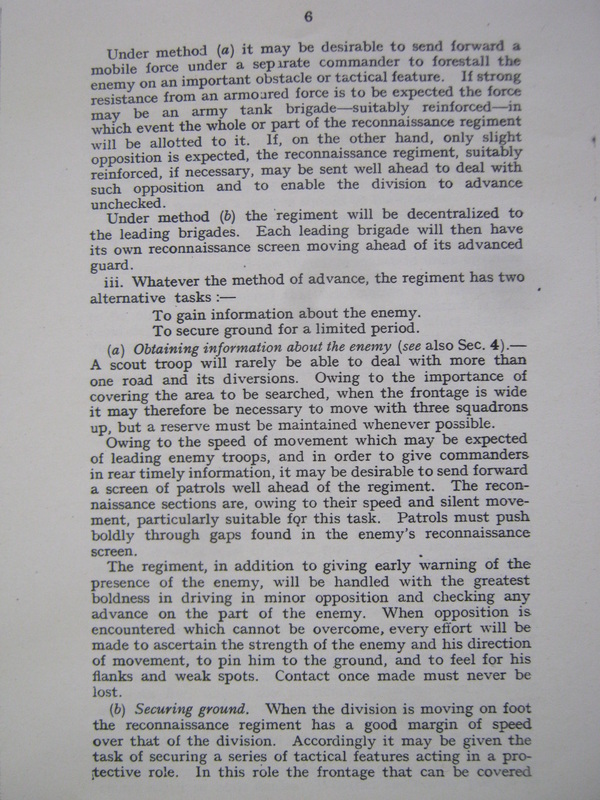 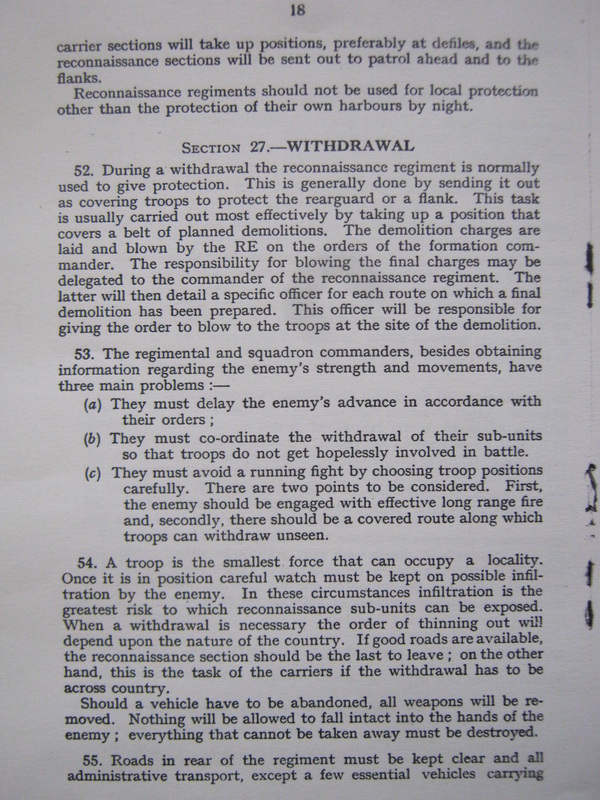 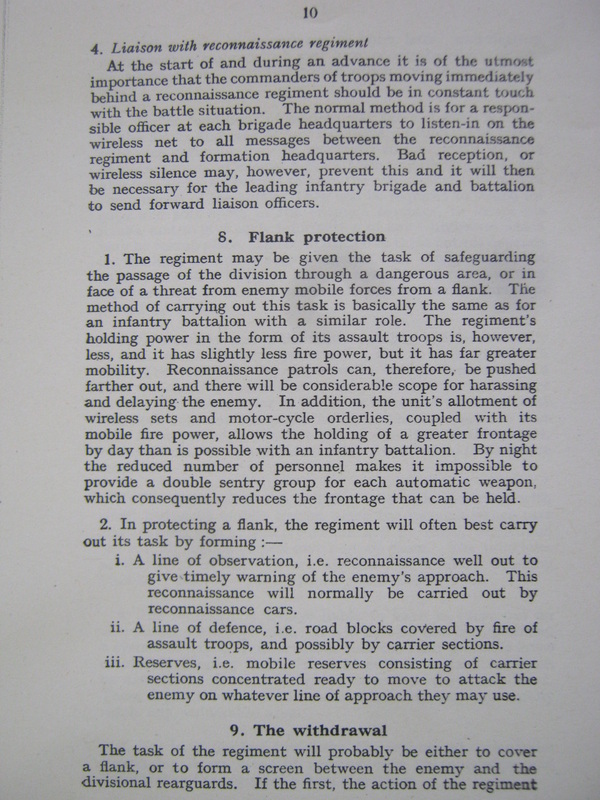 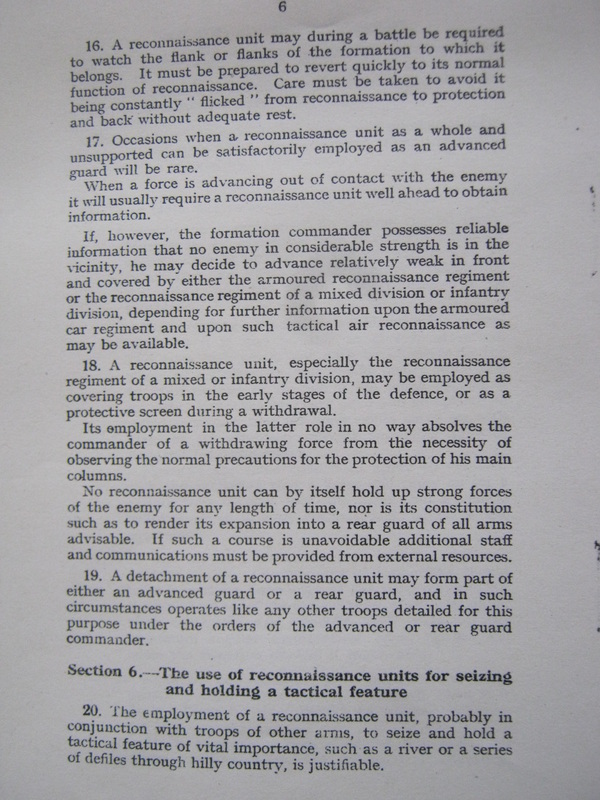 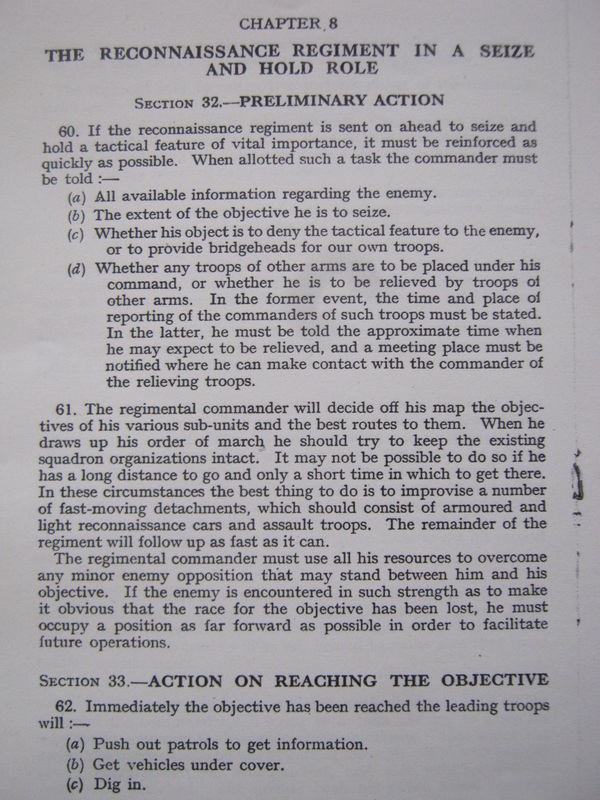 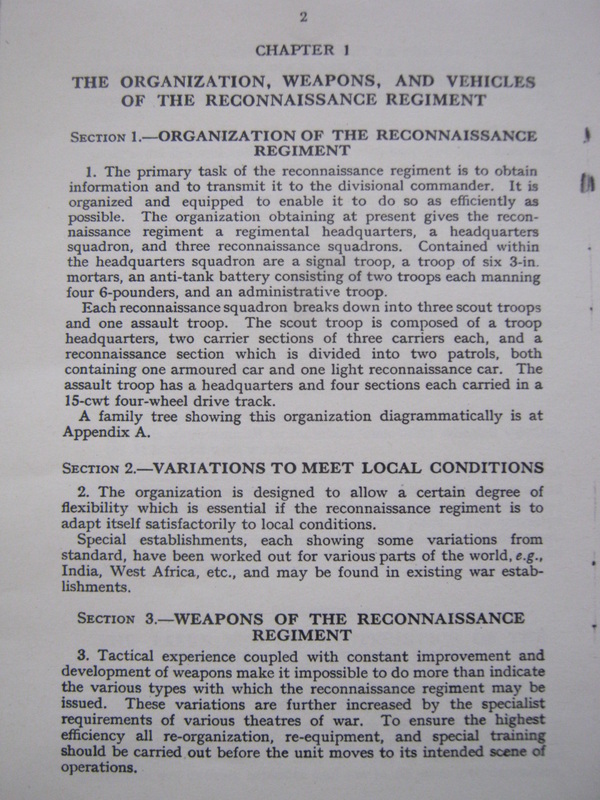 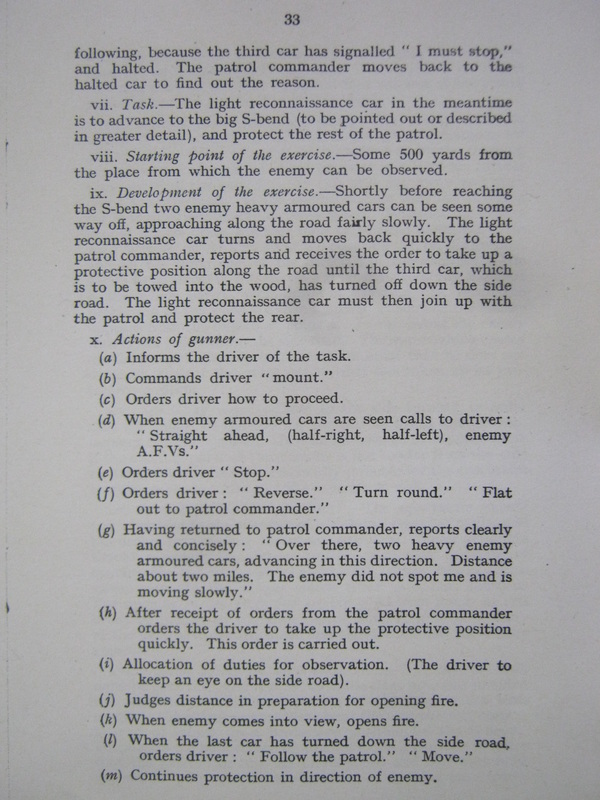 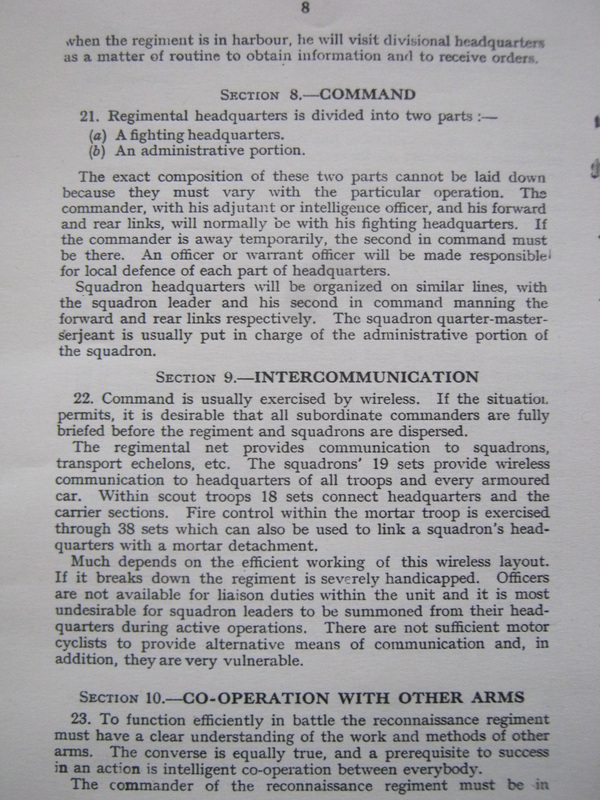 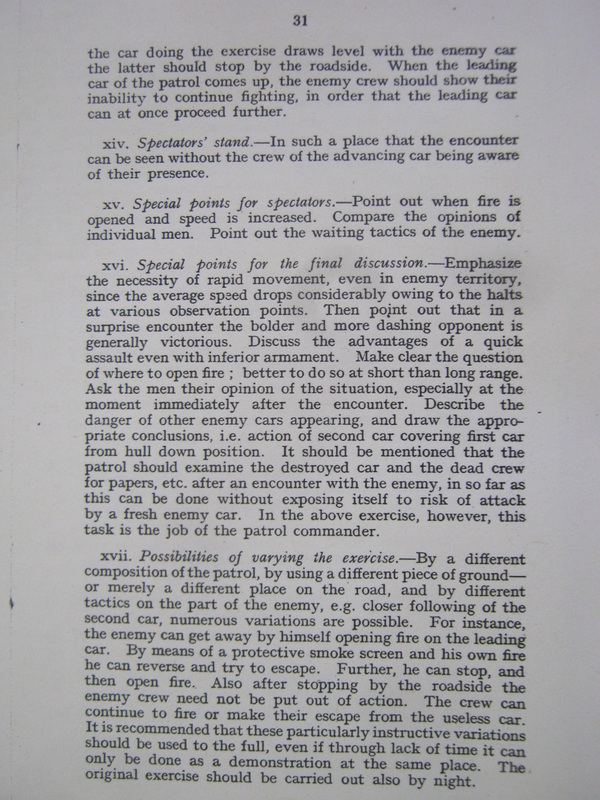 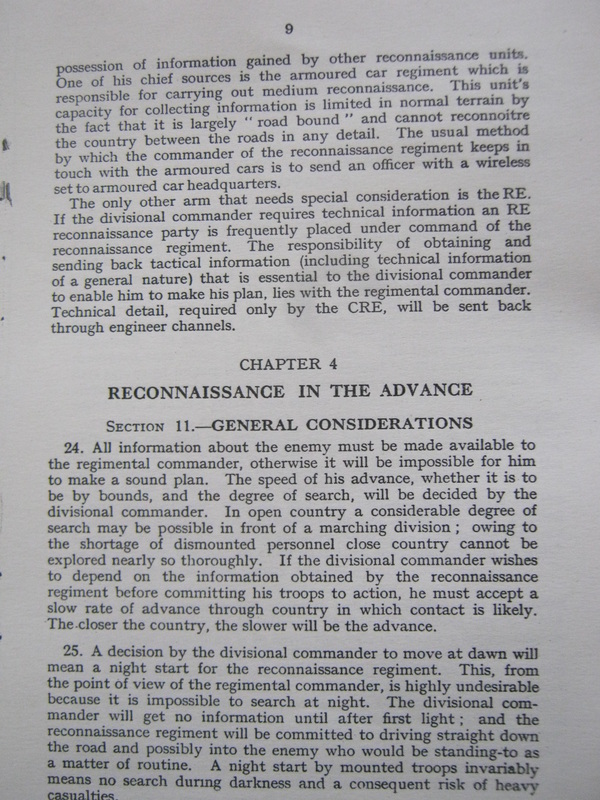 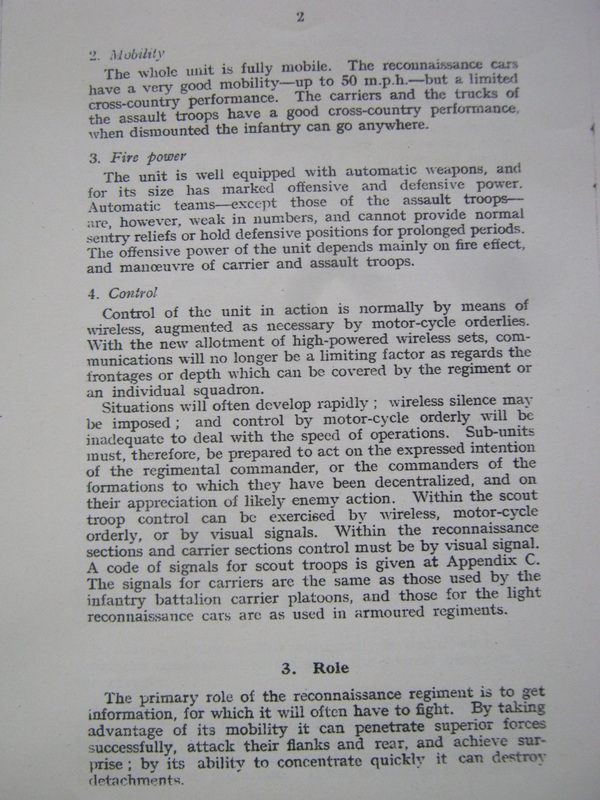 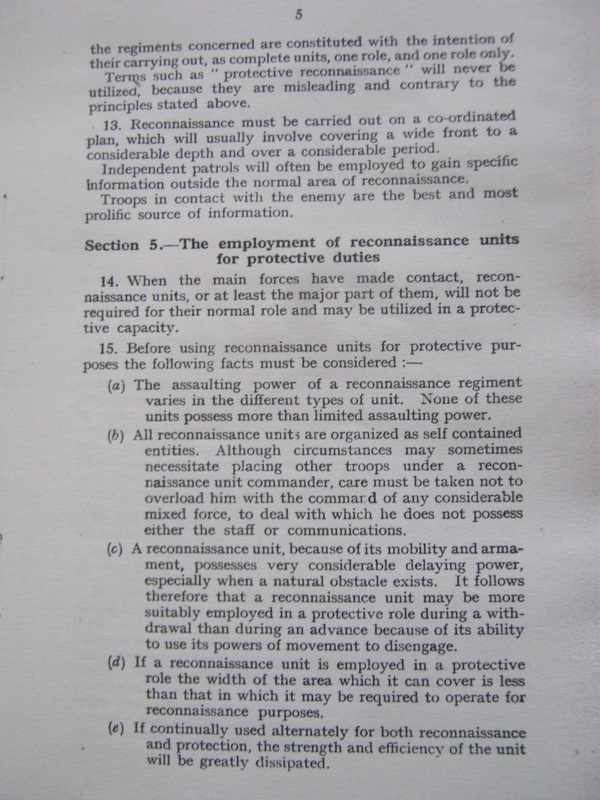 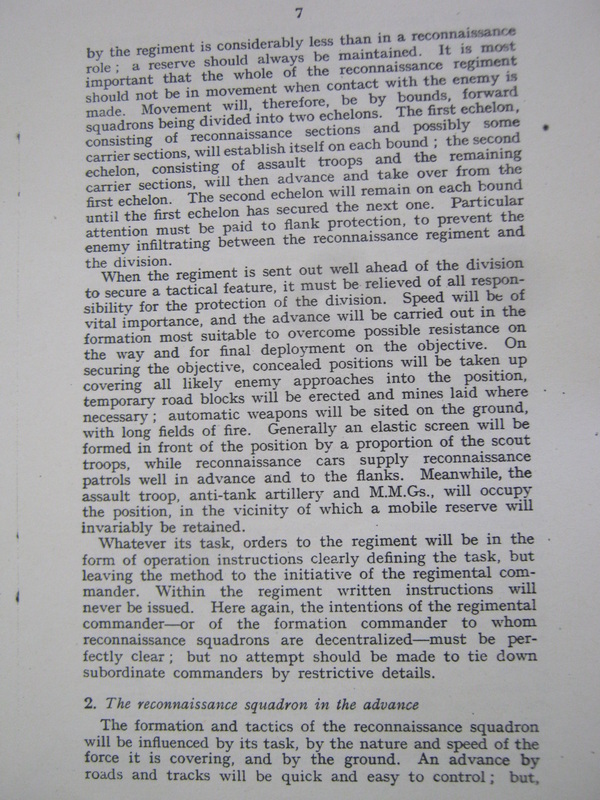 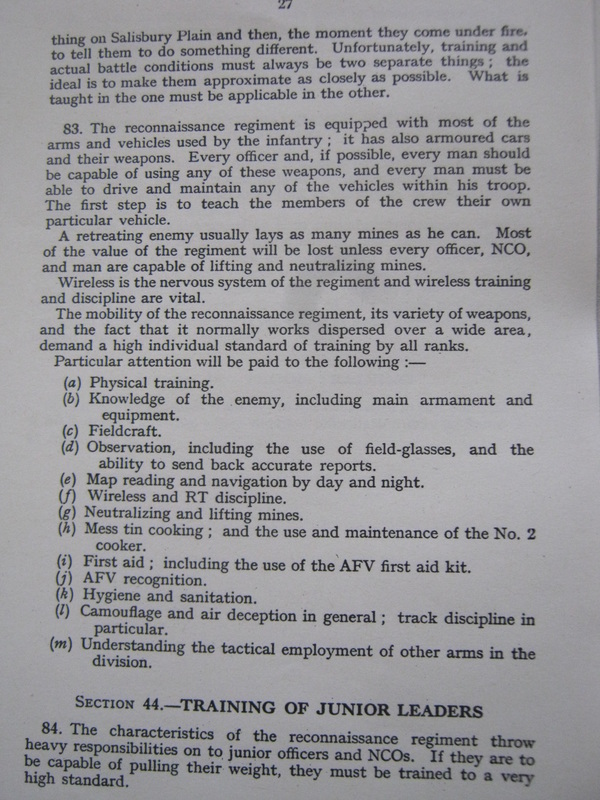 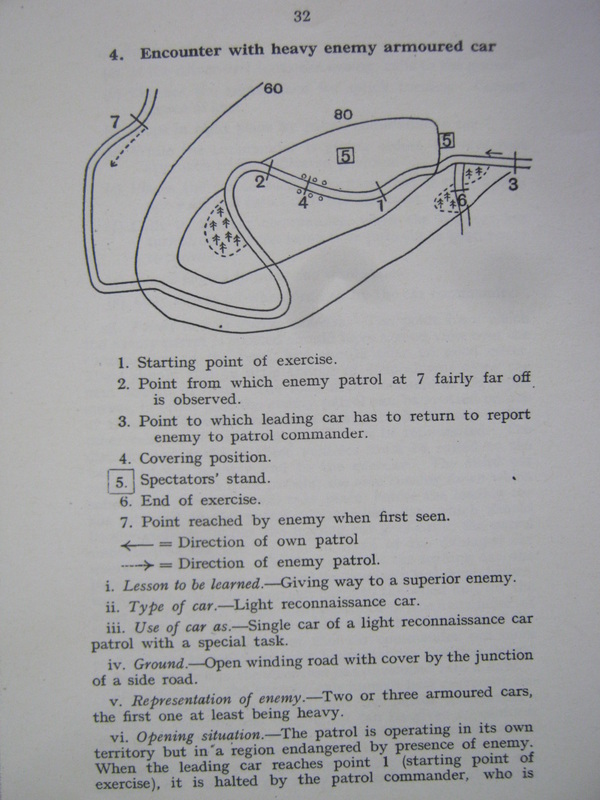 Regardless of whether units in the field followed to the letter what was in the pages that follow or not, these manuals are the official word on how armored reconnaissance was to be conducted, and must be regarded as the baseline for any study, or attempt to replicate the actions of, British armored reconnaissance in WW2. 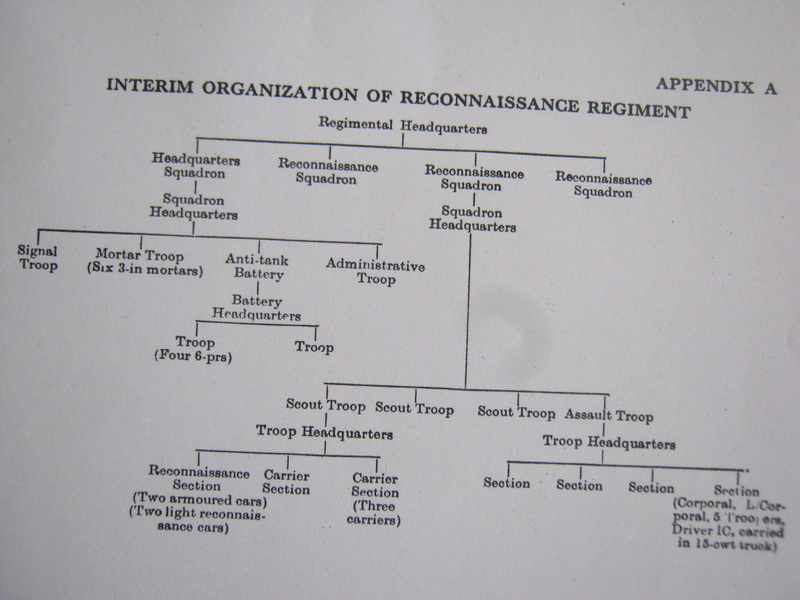 Enlarged versions of the following organization charts are included further down for easier reading. 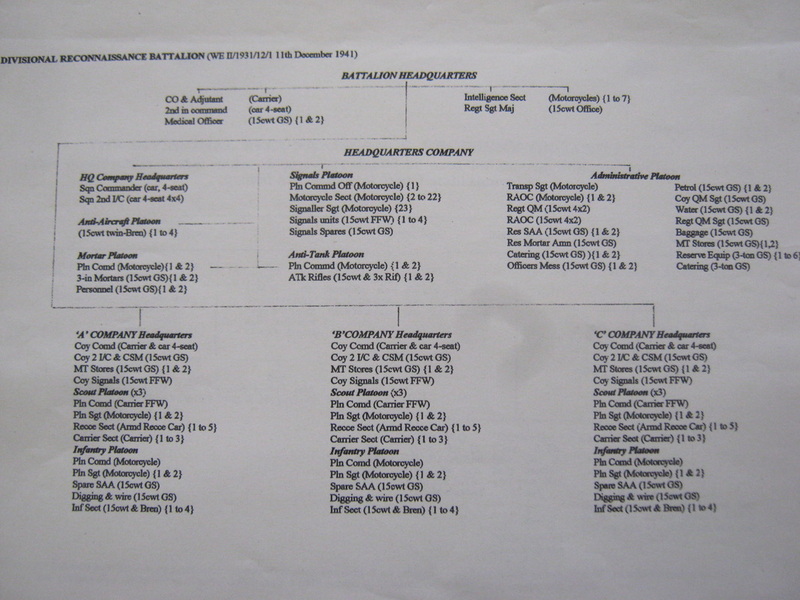 Note: Enlarged version of this chart included further below for easier reading.